The Thomas P. Salmon Suite, or 203, in in our Main Inn on the second floor. 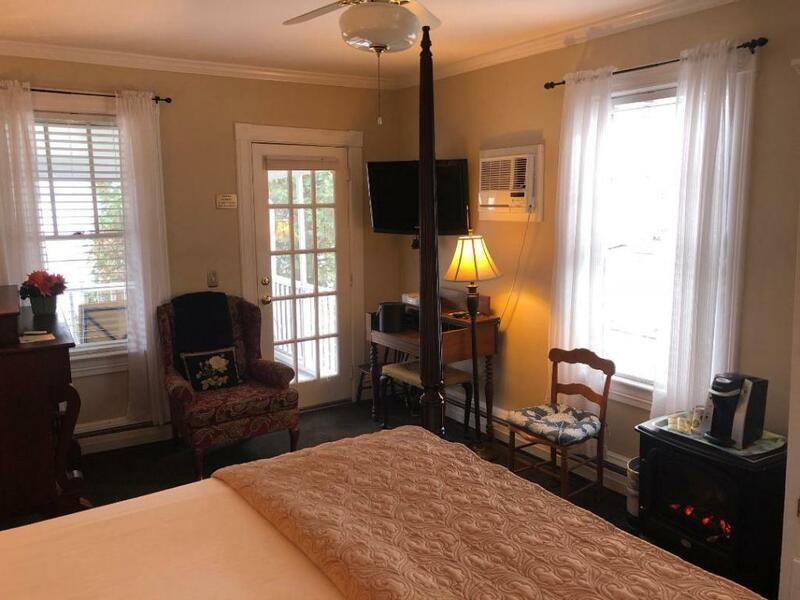 This room has a separate bedroom with a queen canopy bed, a large bathroom with a large jacuzzi-jetted tub, a private front sitting room with a queen sleeper sofa, writing desk, gas woodstove, and french doors that open onto a private, screened in porch overlooking Lake Champlain. 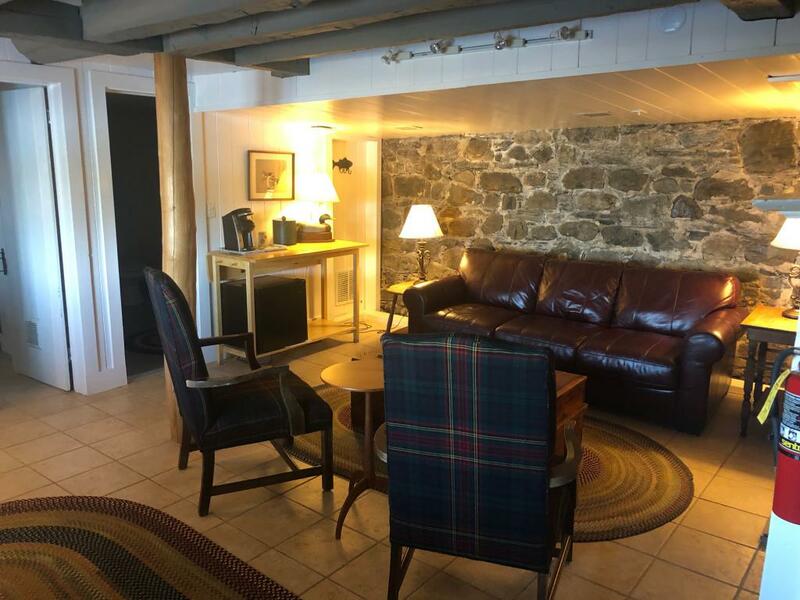 CH7, or The Cobbler Suite, is in our Cove House lakeside building right on the water. This room features a queen bedroom, a sitting room with a queen sleeper, fireplace, lakeviews, private screened in patio and private shower. 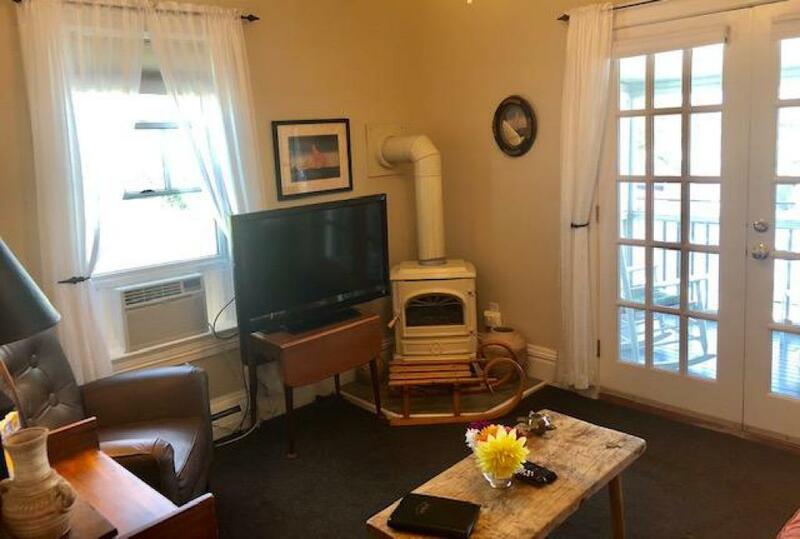 Also included is a coffee maker, a mini fridge, and a dining table. 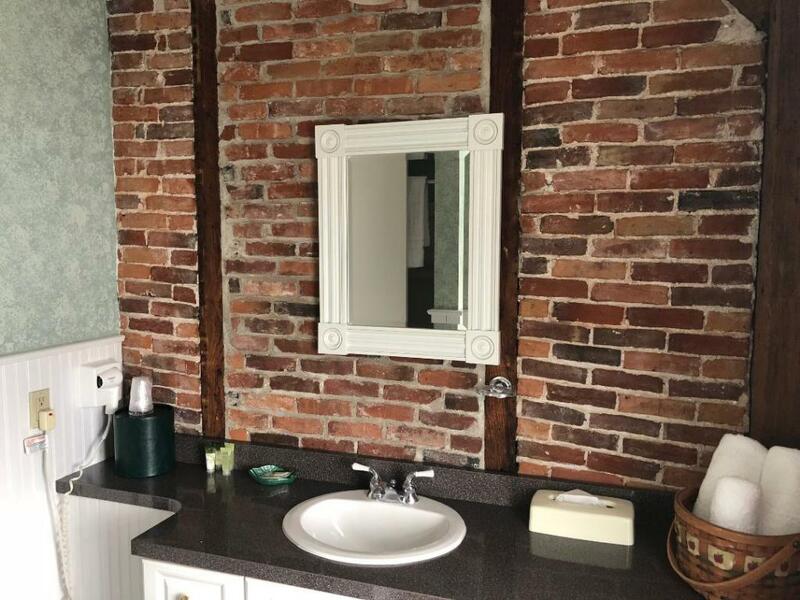 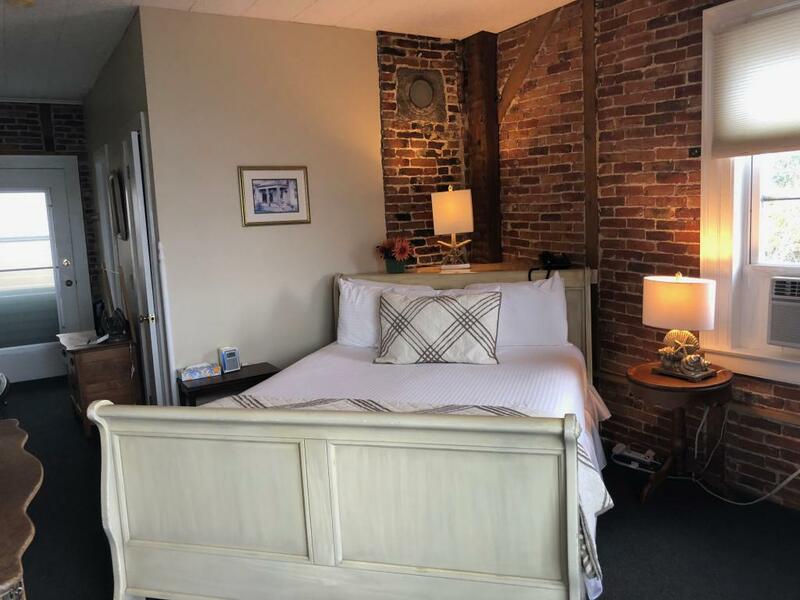 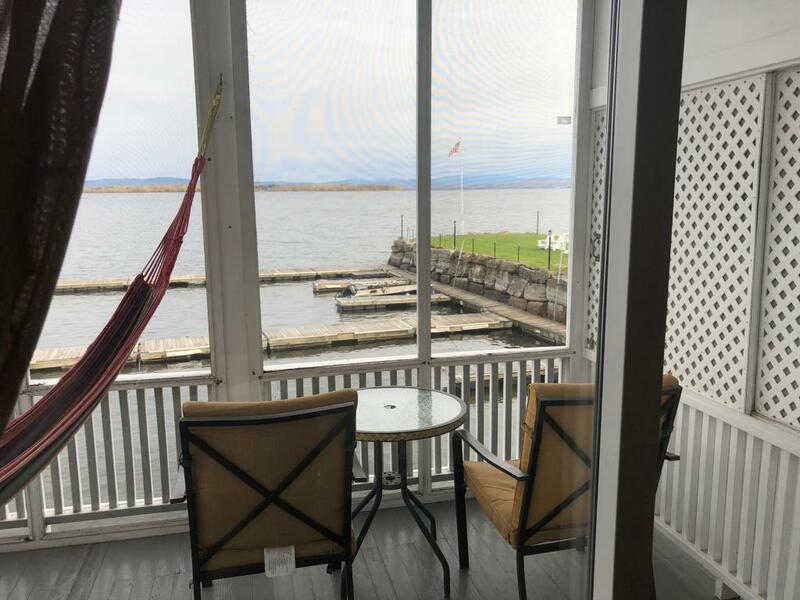 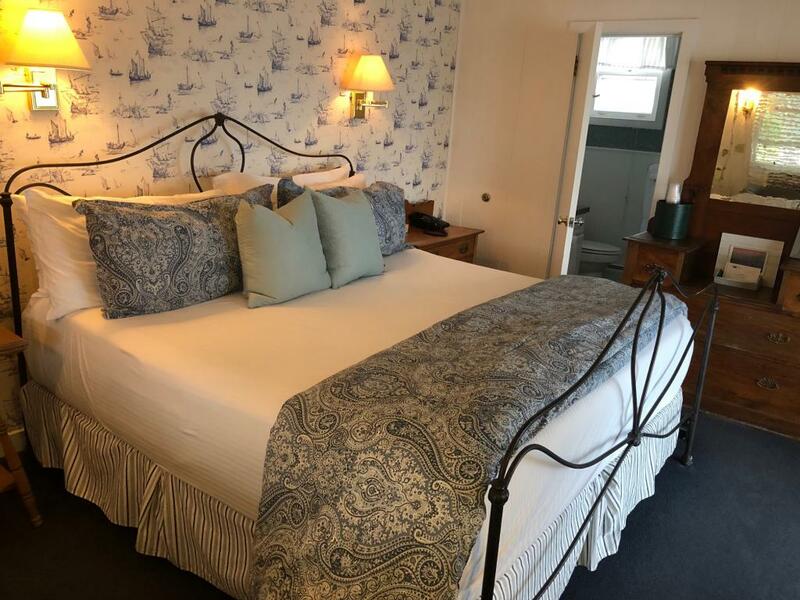 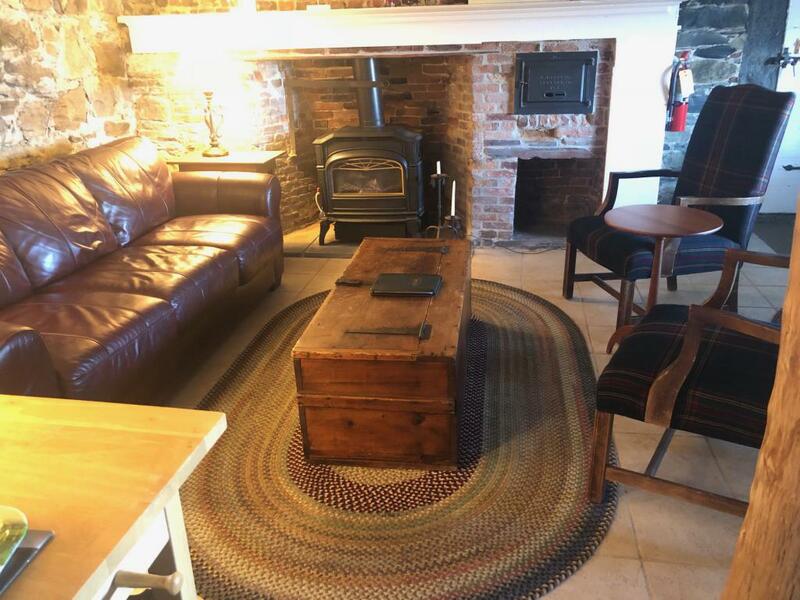 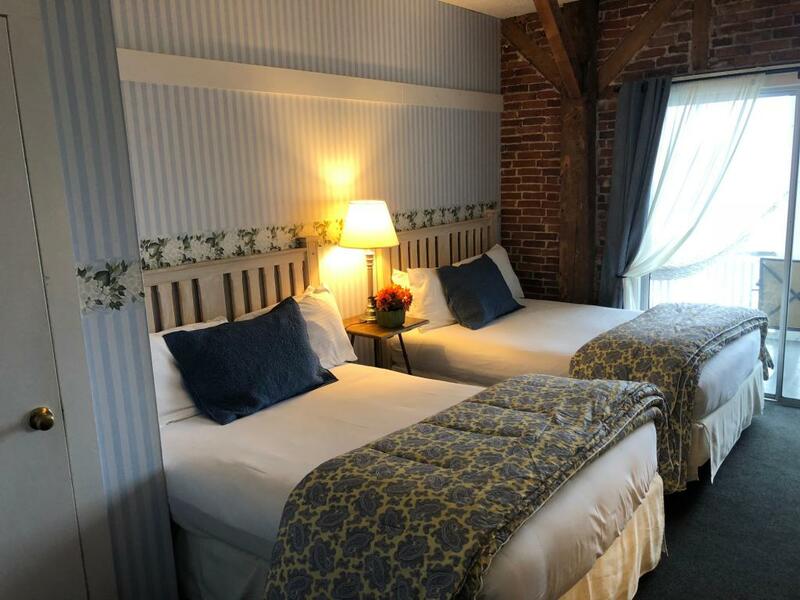 SW4 or The Way Suite, is located at the end of our Southwind Building overlooking our steamship pier, Lake Champlain, and the Green Mountains. 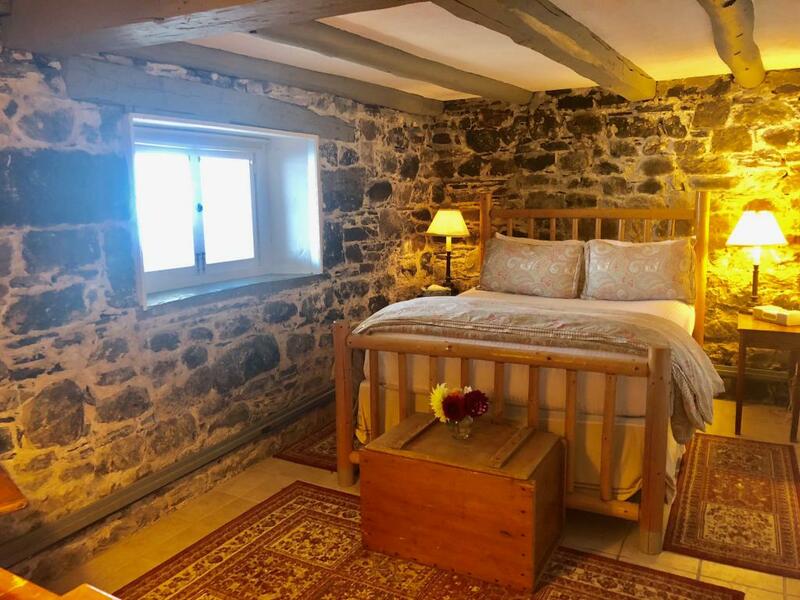 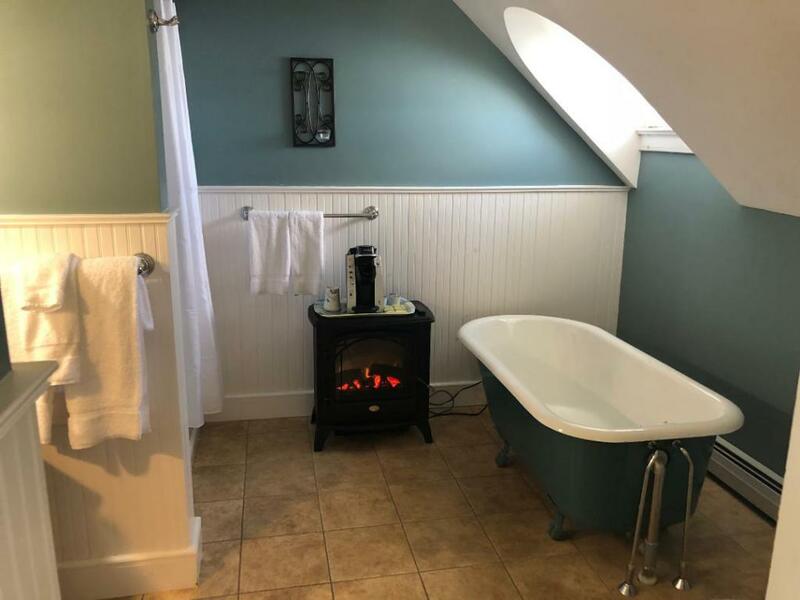 This room features a king bed, a private bath with jetted tub, a glassed in private porch with a double trundle sofa, gas woodstove, mini fridge, coffee maker, and breakfast table. 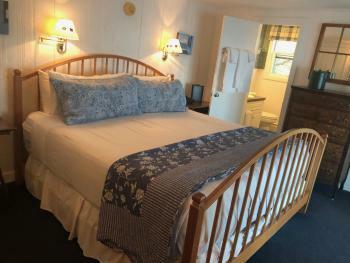 CH3 is in our Lakeside Cove House Building and is also known as The Hickock Room. 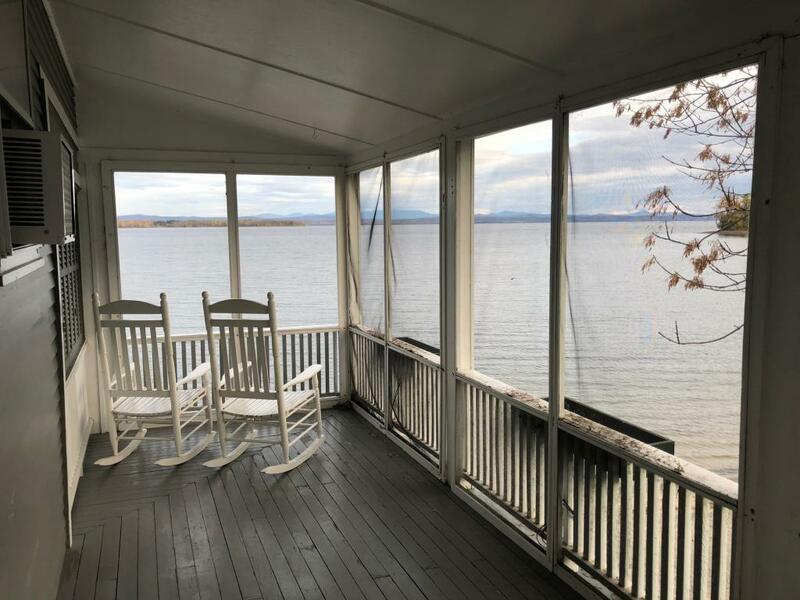 It features a king bed, a gas woodstove, a private shower, and a private screened in porch perched over Lake Champlain. 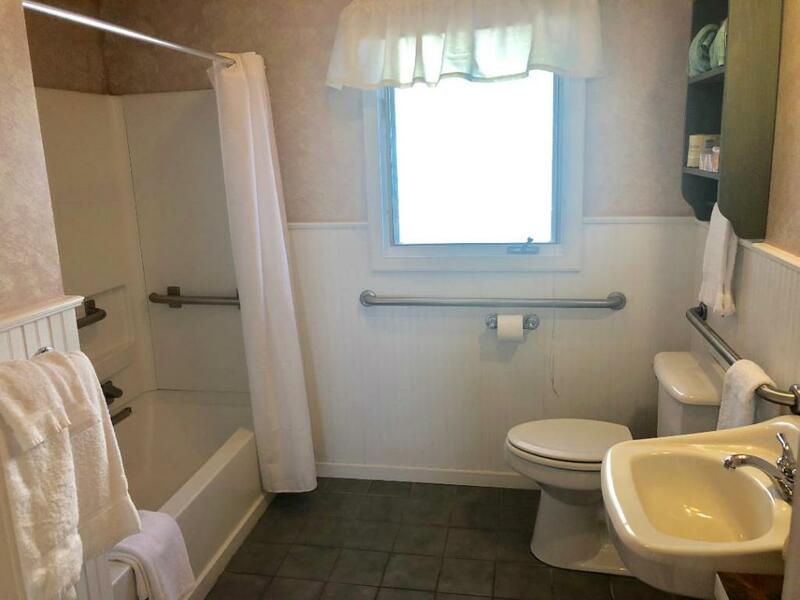 It is on the first floor. 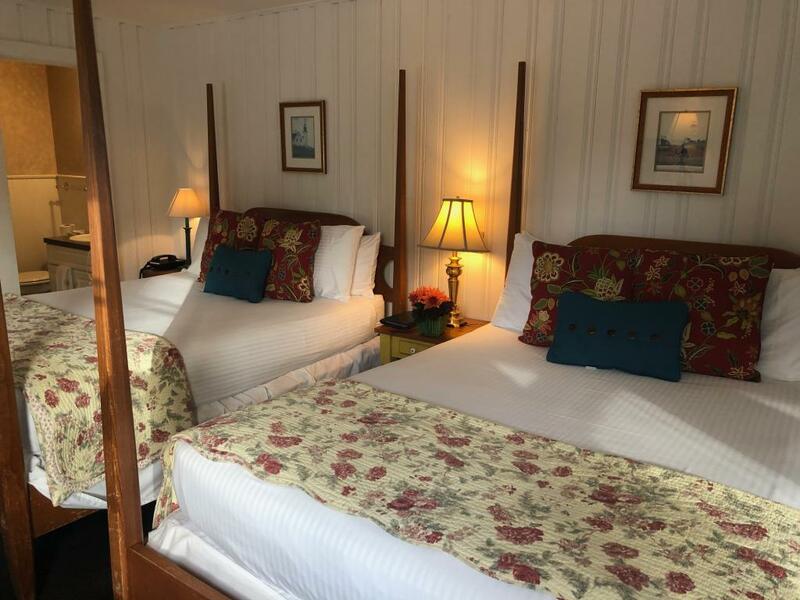 CH6 is in our lakeside Cove House Building on the second floor and is also known as The Clark Room. It features a king bed, a gas woodstove, a private shower, and a private screened in porch perched over Lake Champlain. 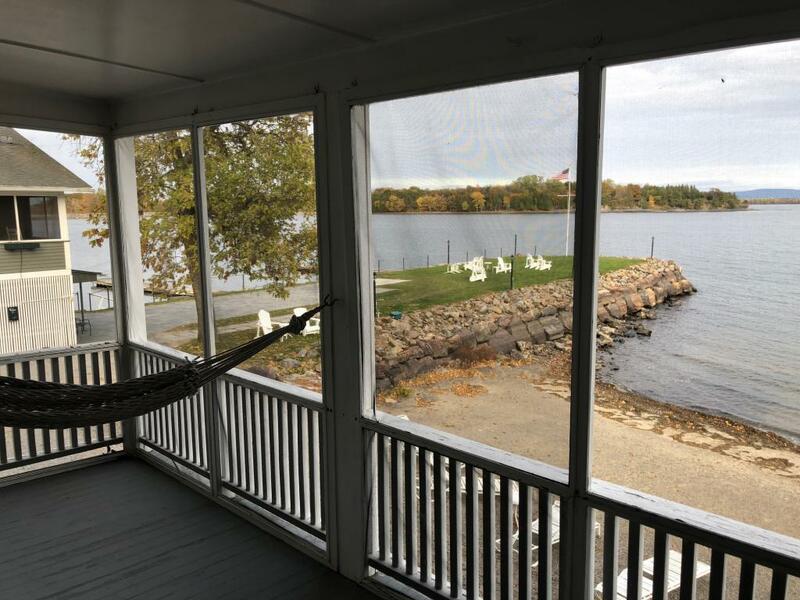 HS3 is in our lakeside Homestead Building. 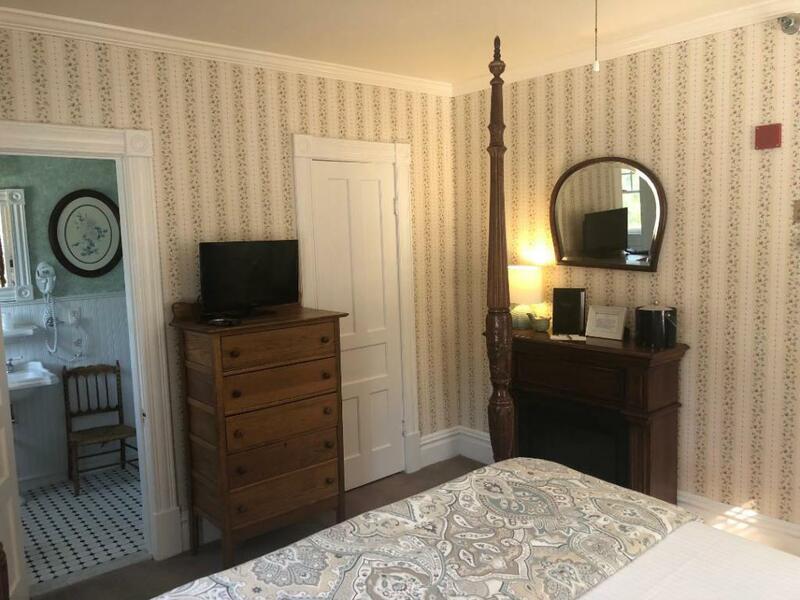 It is also known as The Dodds Room. 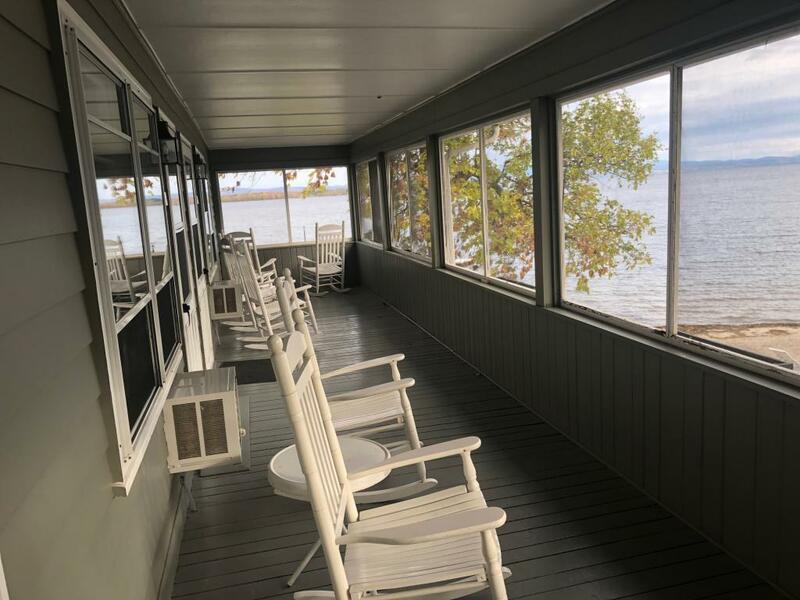 It features a king bed, a private bath with a jetted tub, and a private screened in porch directly over Lake Champlain. 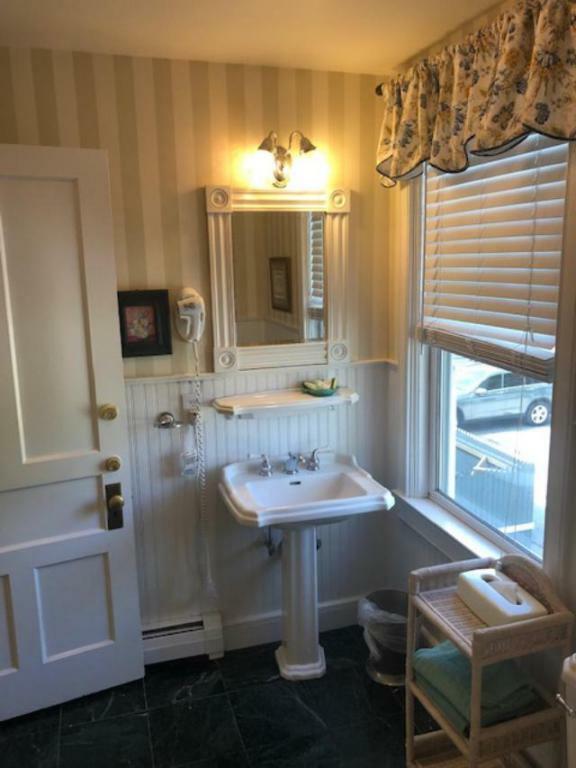 It is on the first floor. HS6 is in our lakeside Homestead Building and is also known as The Hazen Room. 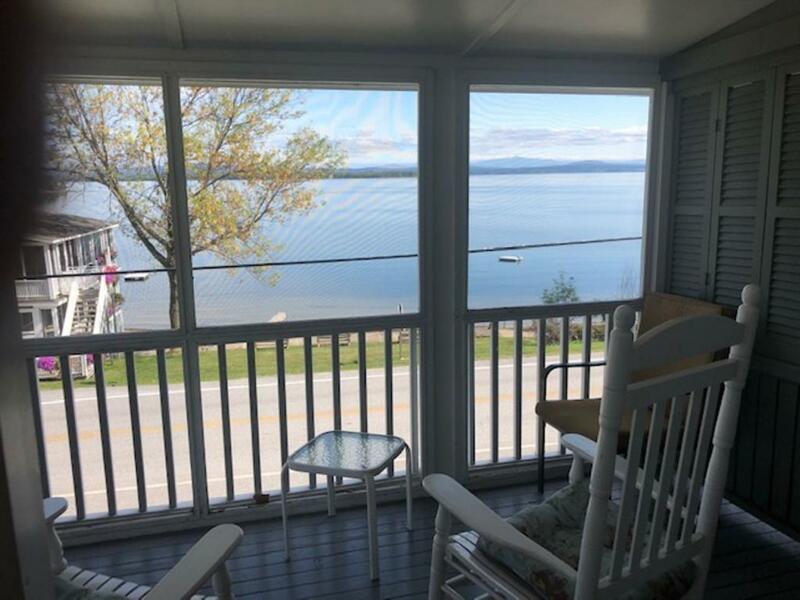 It features a king bed, a private full bath with a jetted tub, and a private screened in porch directly overlooking Lake Champlain. 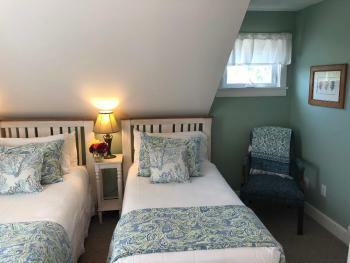 It is on the second floor. 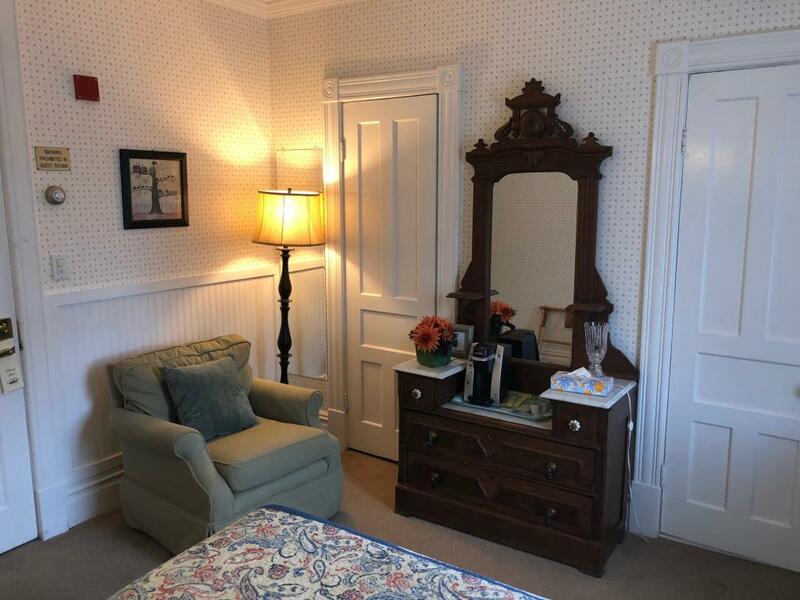 201 is also known as The Allen Brothers Room. 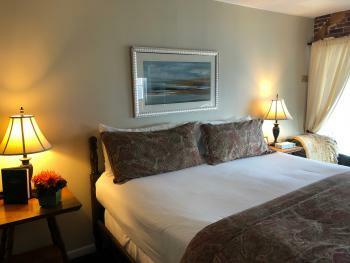 It is located in our Main Inn on the second floor. 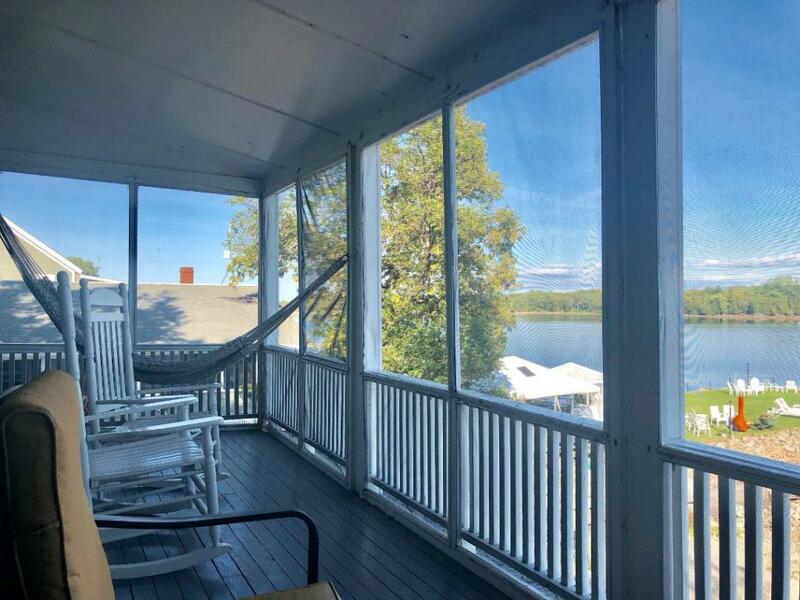 It has a queen bed, a private bathroom with a jetted bath tub, and a private, screened in porch with a direct lake view. 202 is also known as The Tudhope Room. 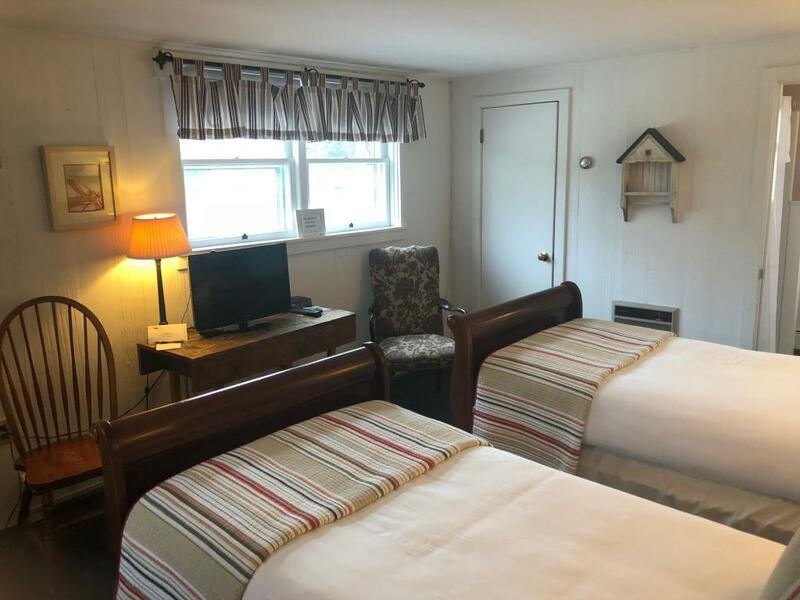 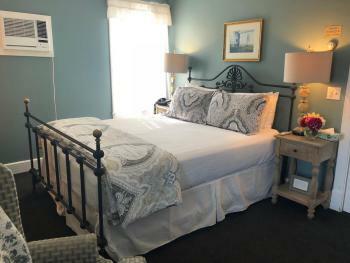 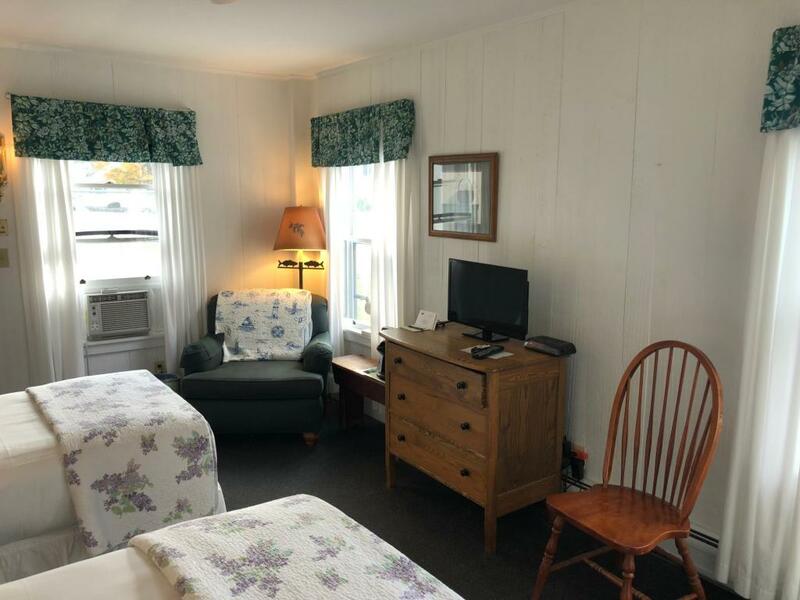 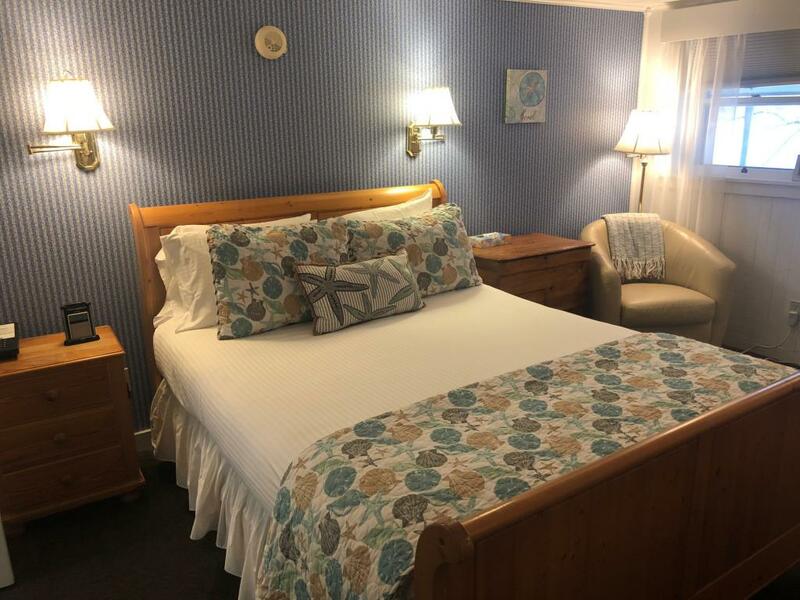 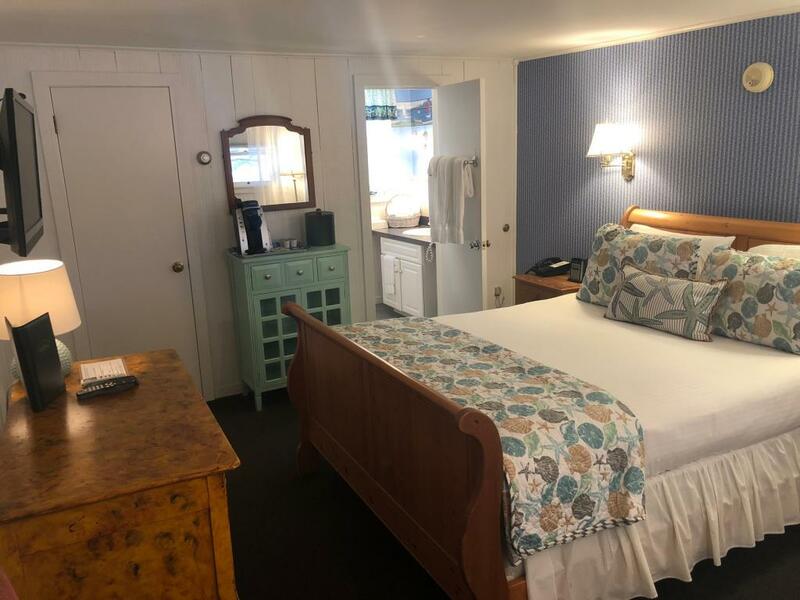 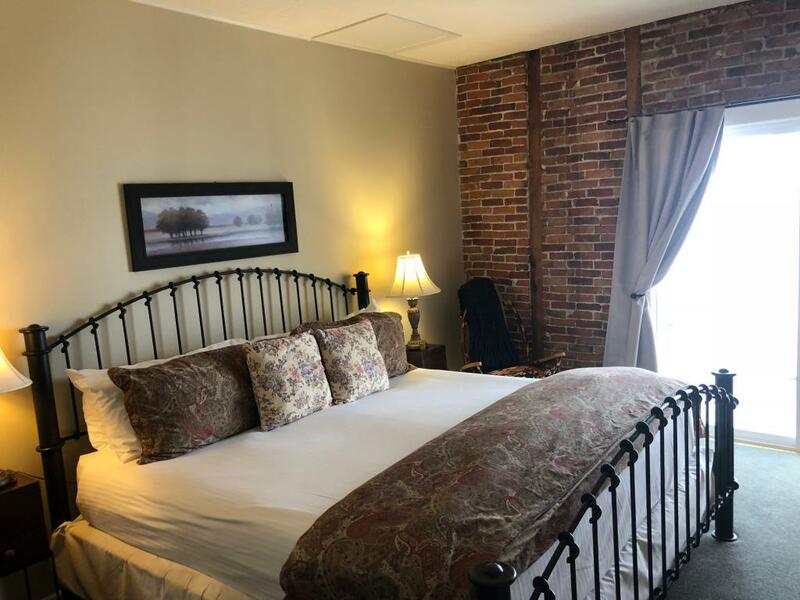 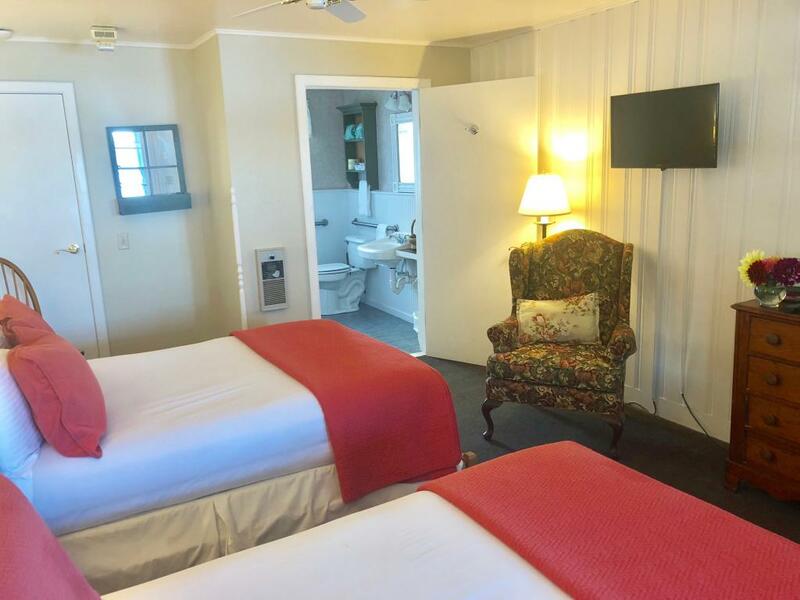 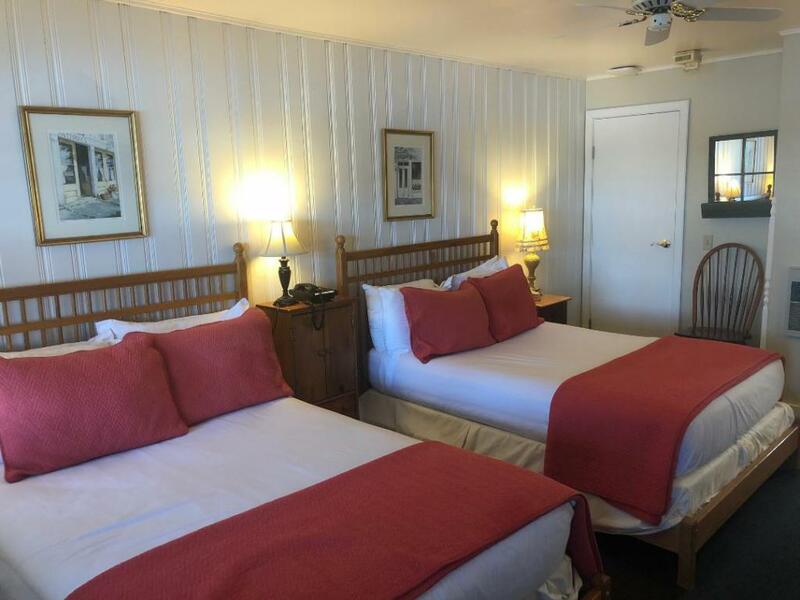 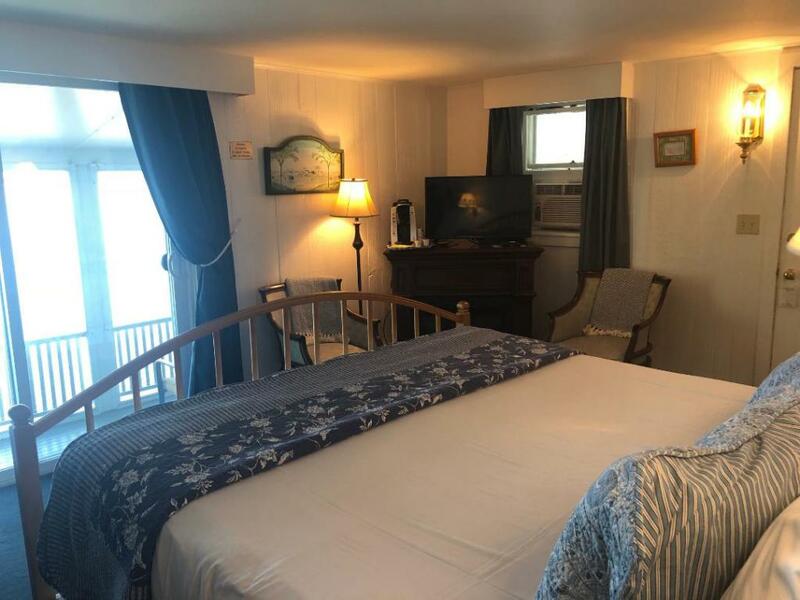 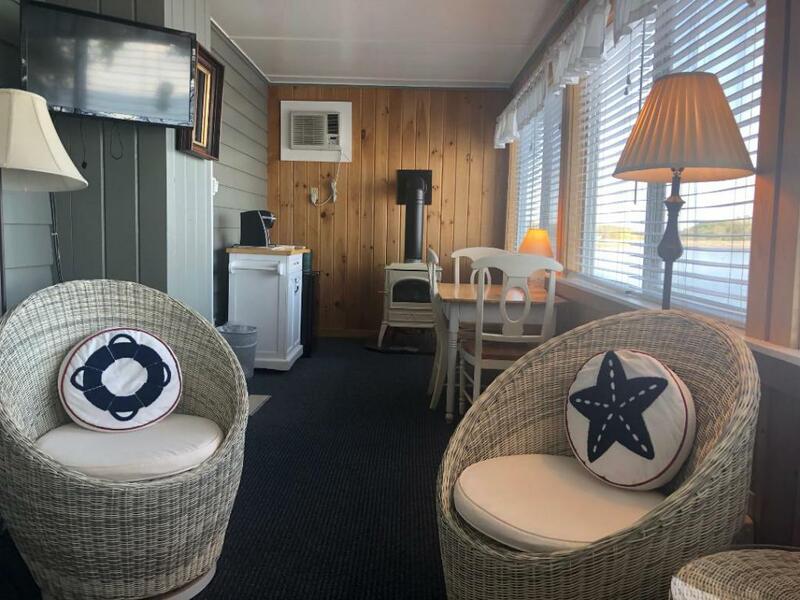 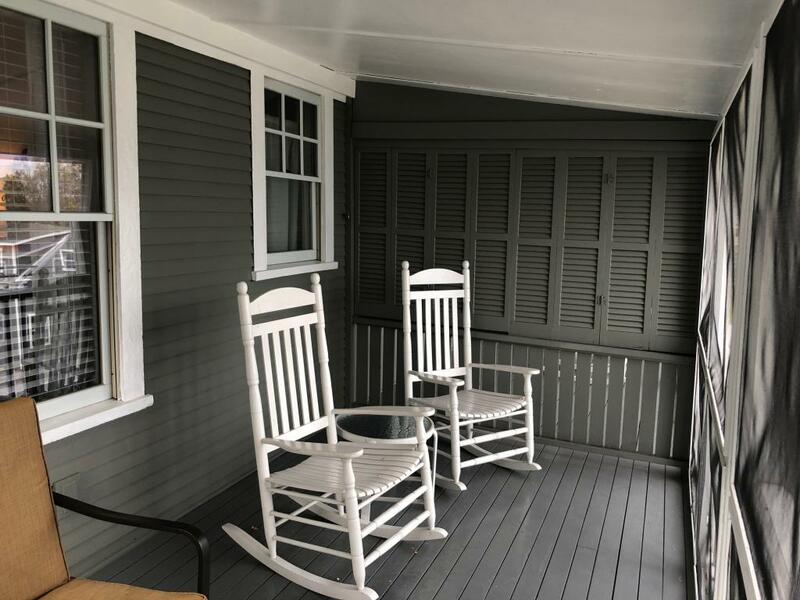 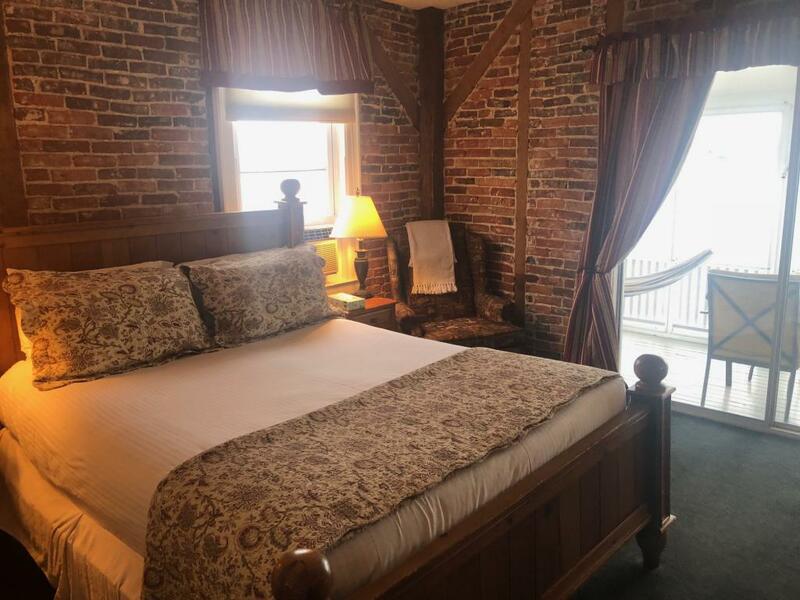 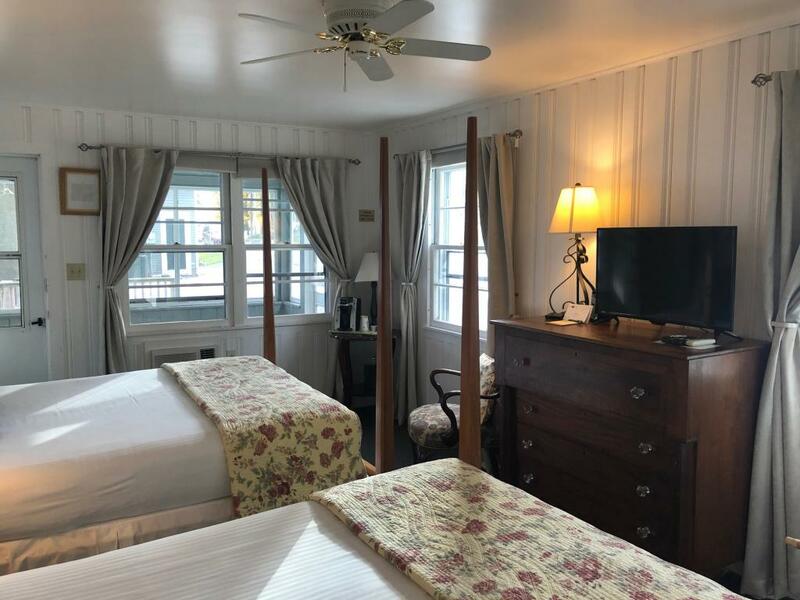 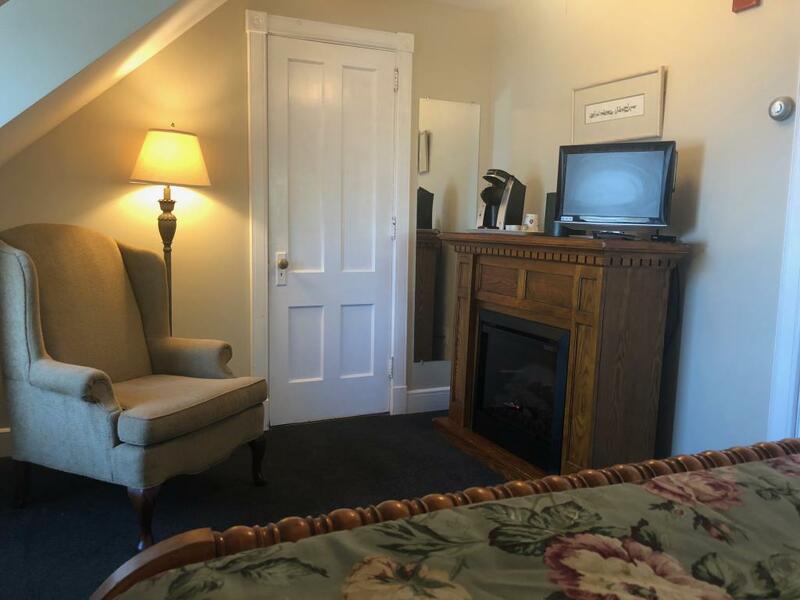 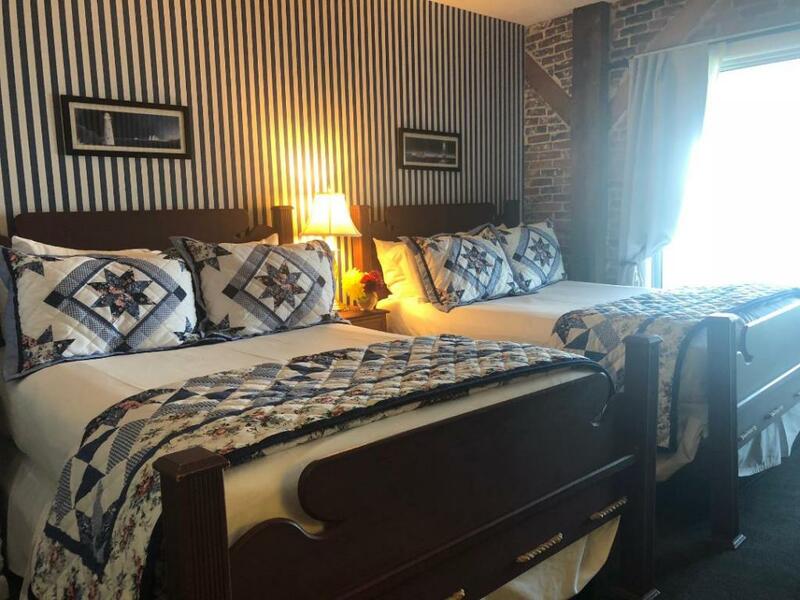 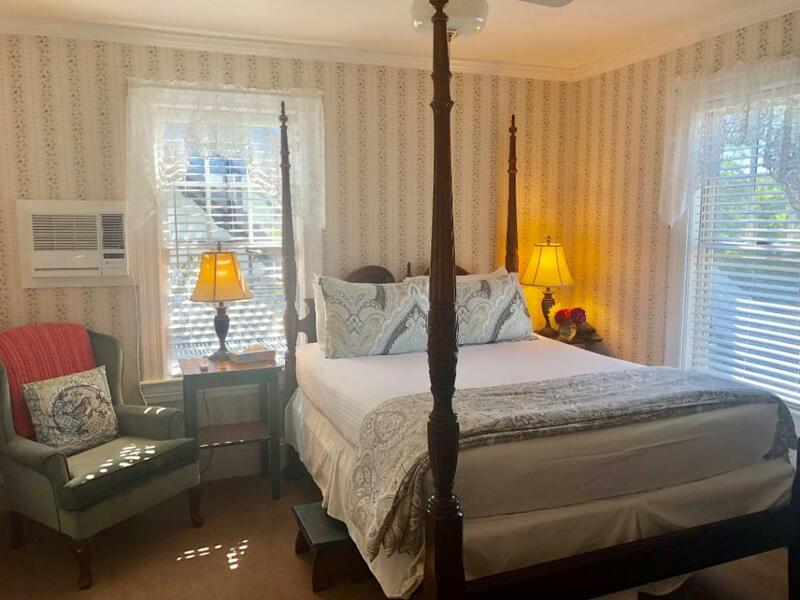 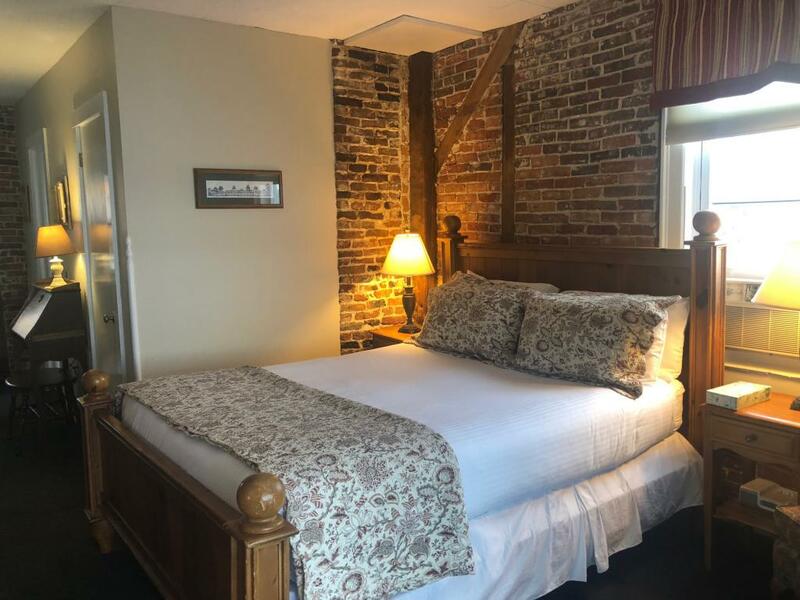 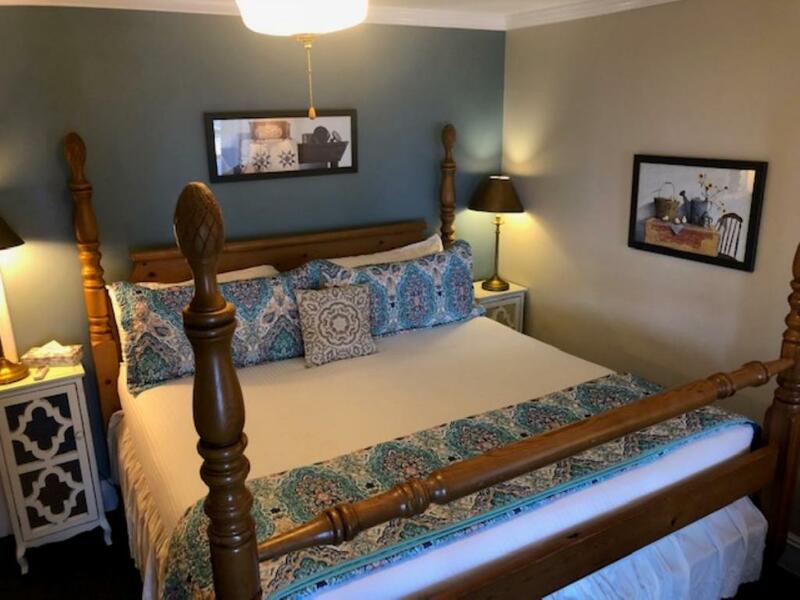 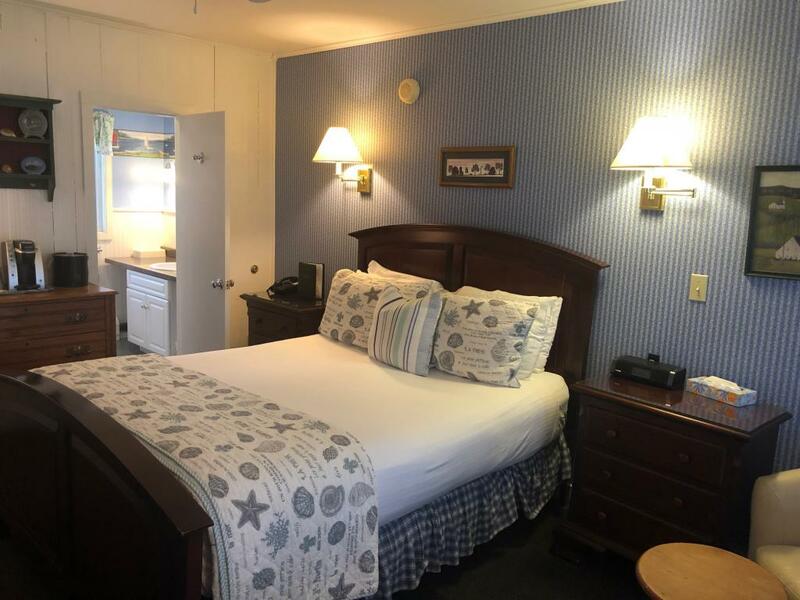 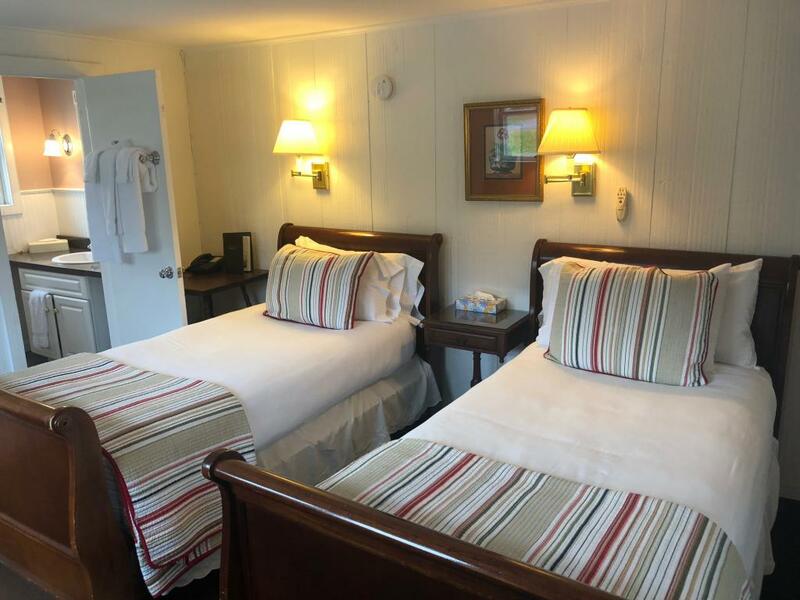 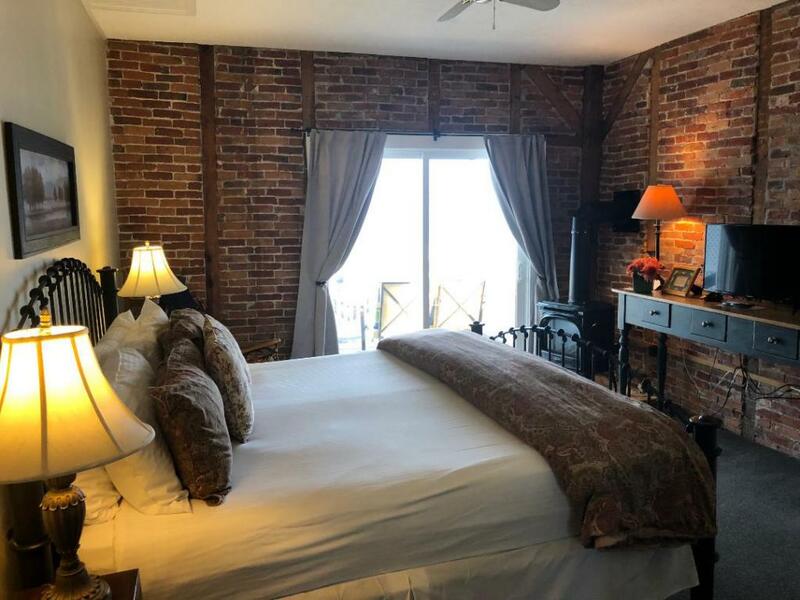 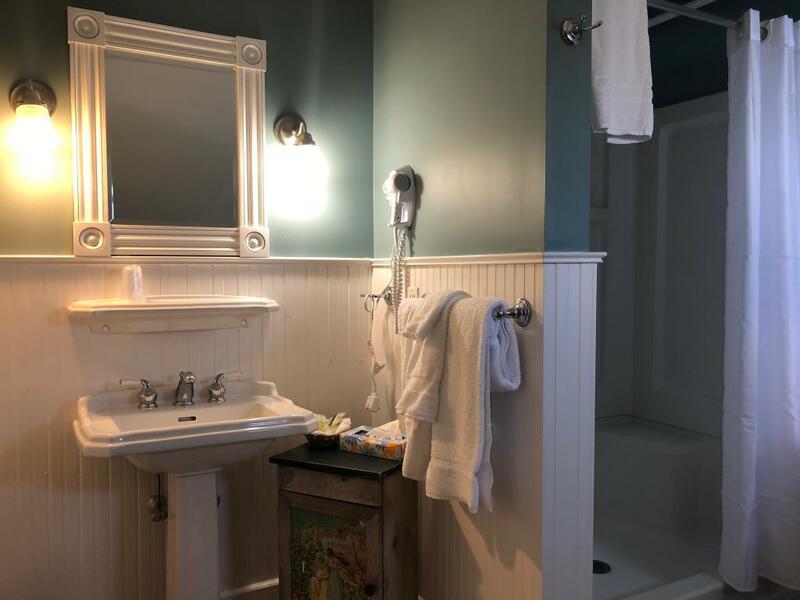 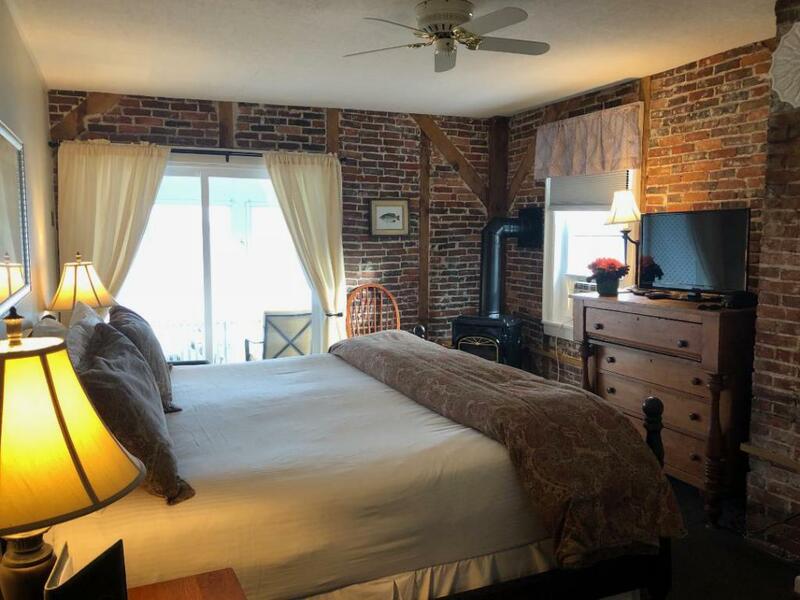 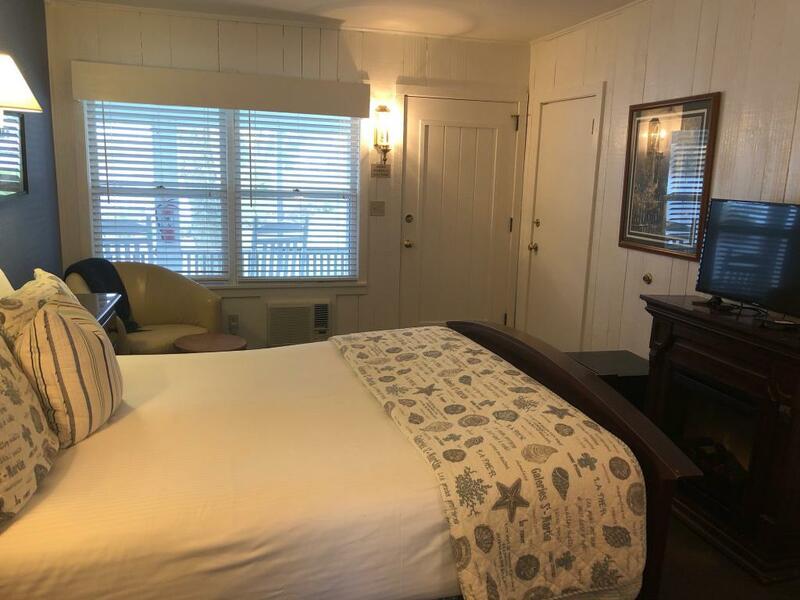 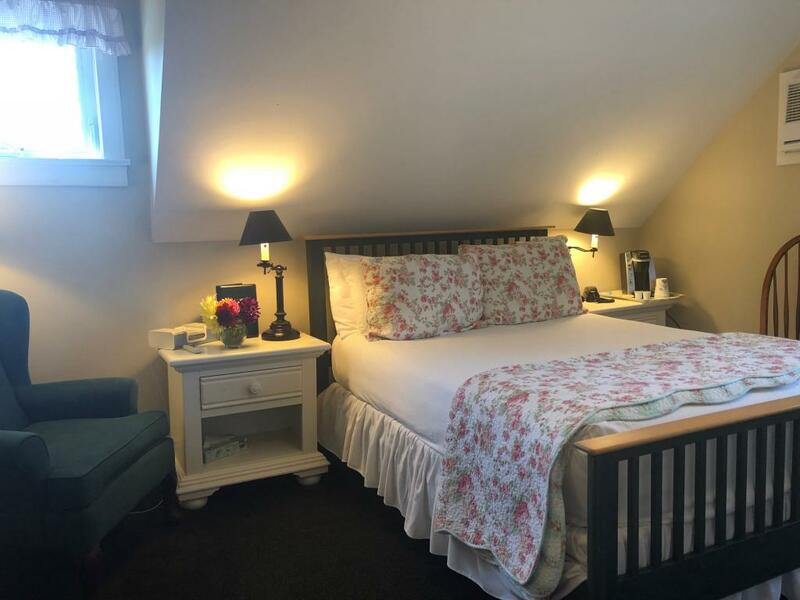 It is located in our Main Inn on the second floor, has a king sized bed, a private bath with a jetted bath tub, and a private, screened in porch with a direct lake view. 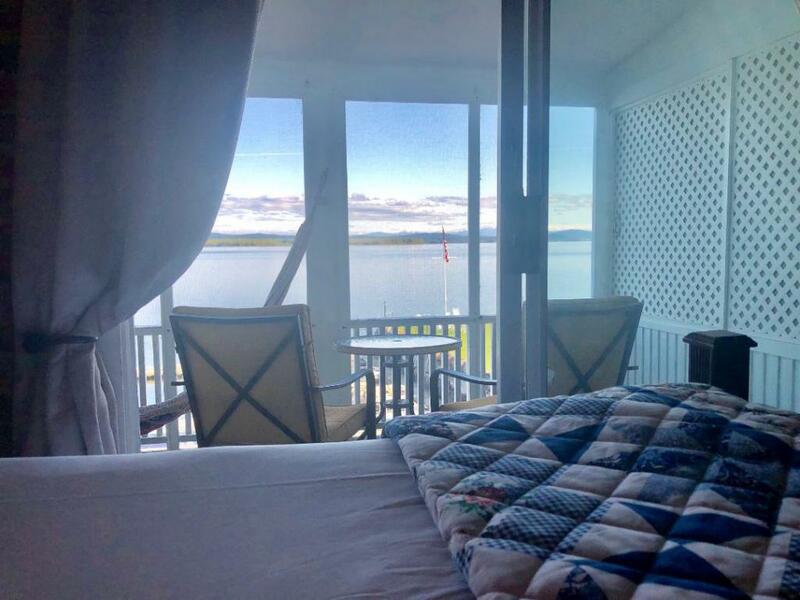 CH1 is in our lakeside Cove House Building on the first floor, it is also known as The Champlain Room. This room features a queen bed, a private shower, and is perched over Lake Champlain with a private screened in porch. 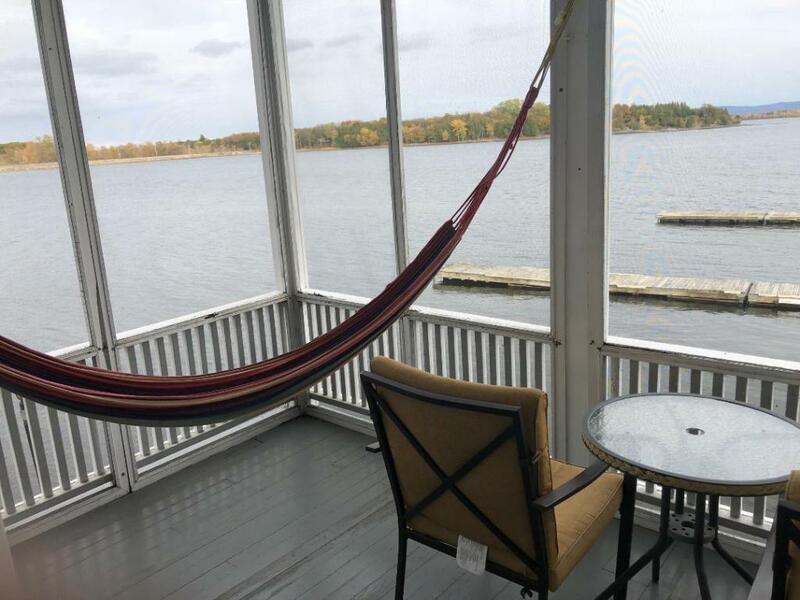 CH2 is in our lakeside Cove House Building on the first floor. 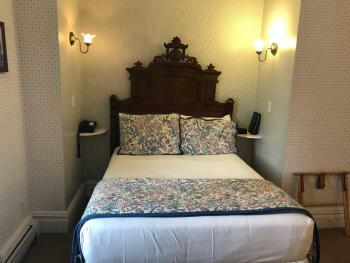 It is also known as The Wright Room. 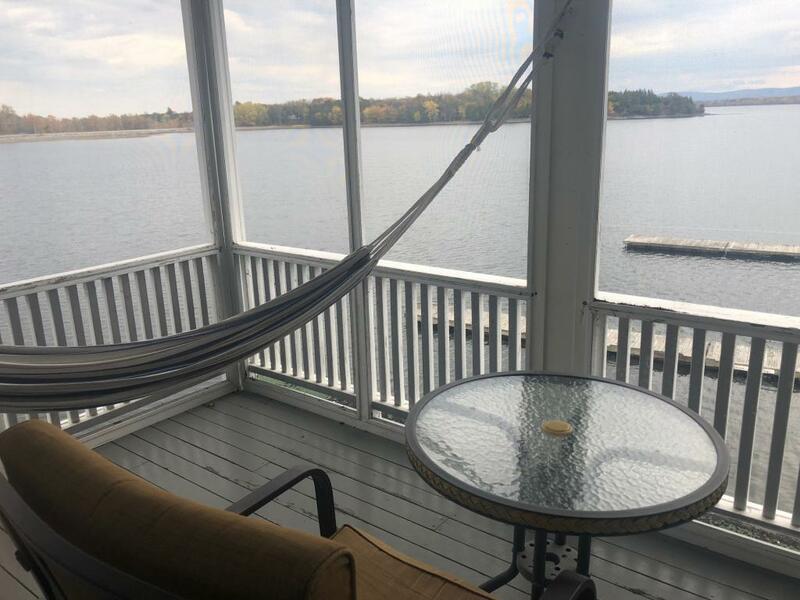 It features two double beds, a private shower, and a private screened in porch perched over Lake Champlain. CH4 is in our Lakeside Cove House Building and is also known as The Contrecoeur Room. 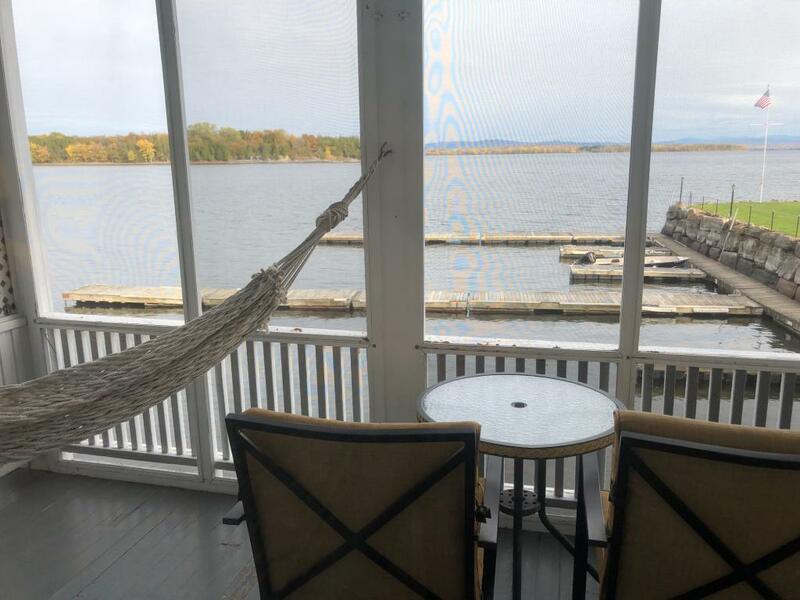 It features a queen bed, private shower, and a private screened in porch perched over Lake Champlain. 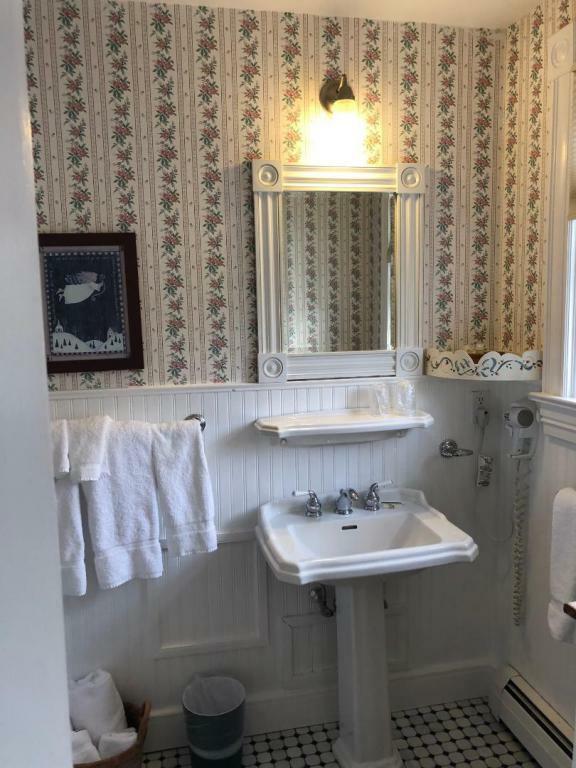 It is on the second floor. 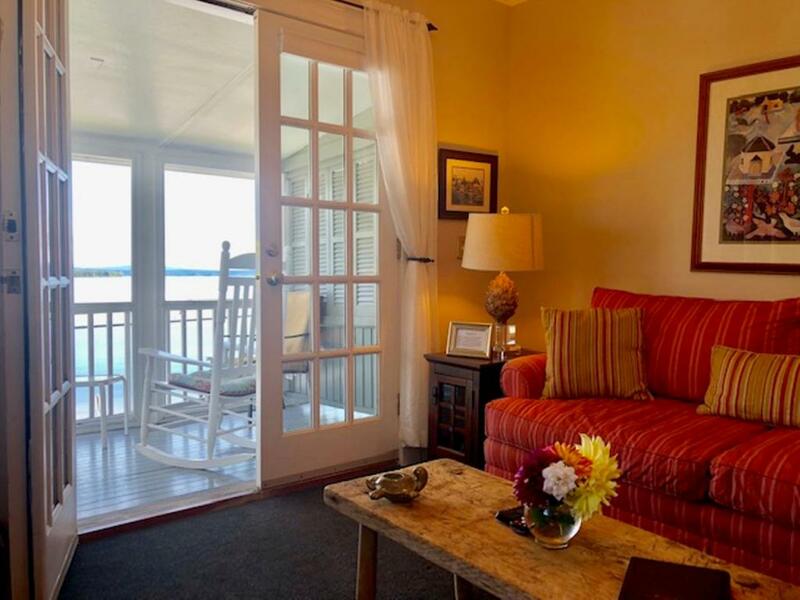 CH5 is in our lakeside Cove House Building on the second floor and is also known as The Allen Room. 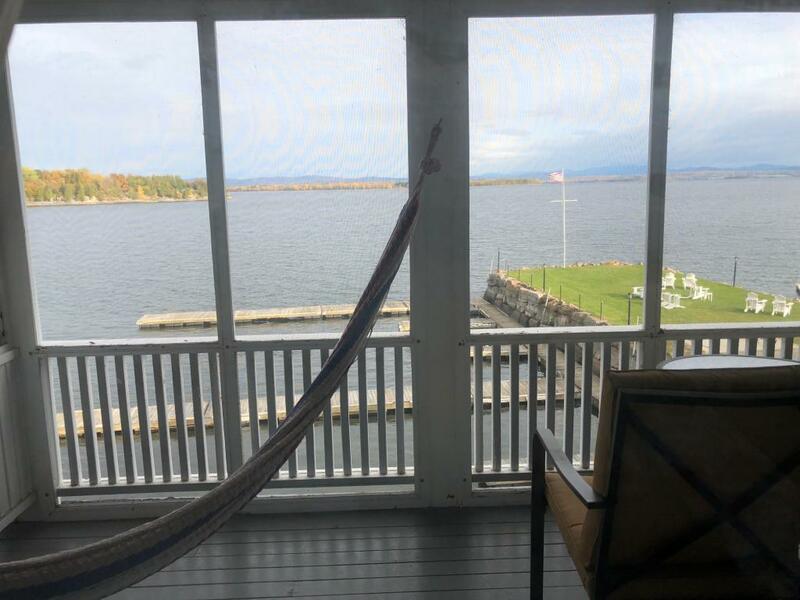 It features two double beds, a private shower, and a private screened in porch perched over Lake Champlain. Room 205 is also known as The Wood Room. 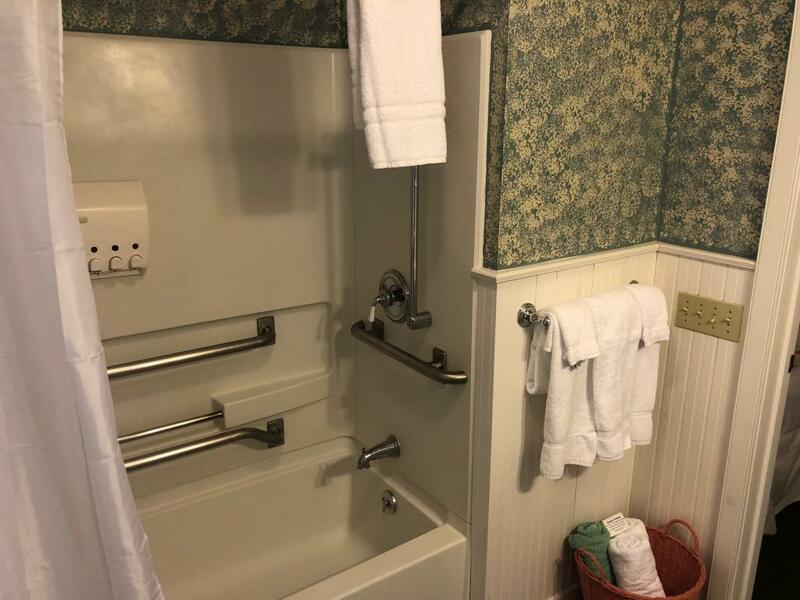 It is in the Main Inn on the second floor. 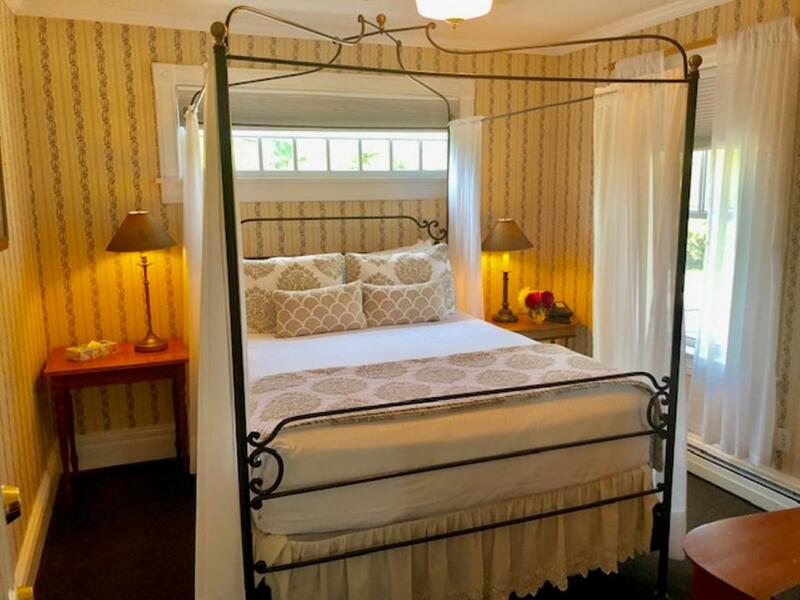 It has a queen bed, a private shower, and garden views. Room 301 is in our Main Inn on the third floor. 301 is also known as The Ladd Room. 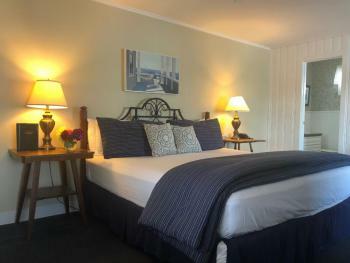 It has a queen bed, a window seat with a lovely lake view and comfortable armchair. 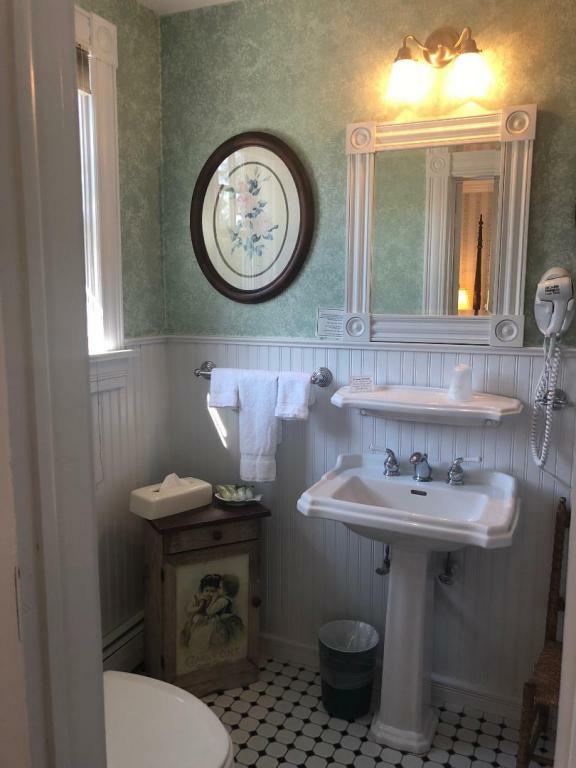 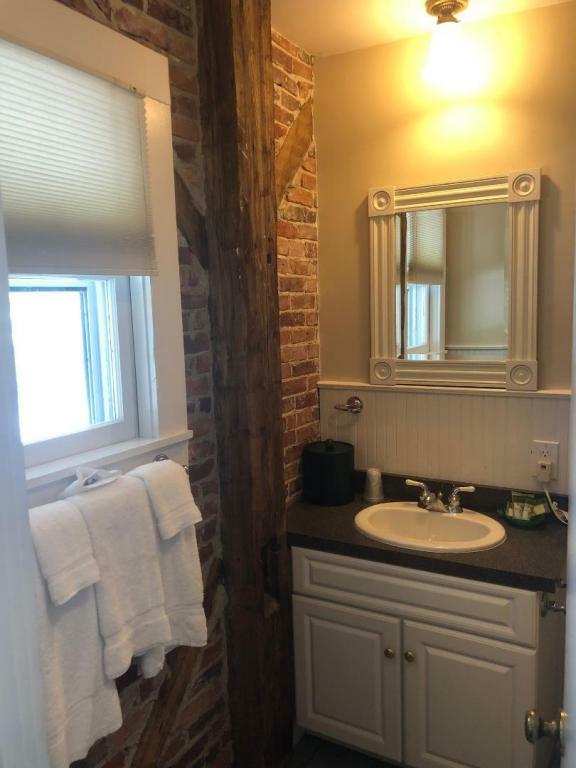 It has a private bathroom with a claw foot tub and additional shower. 302, or The Haynes Room, is in the Main Inn on the third floor. 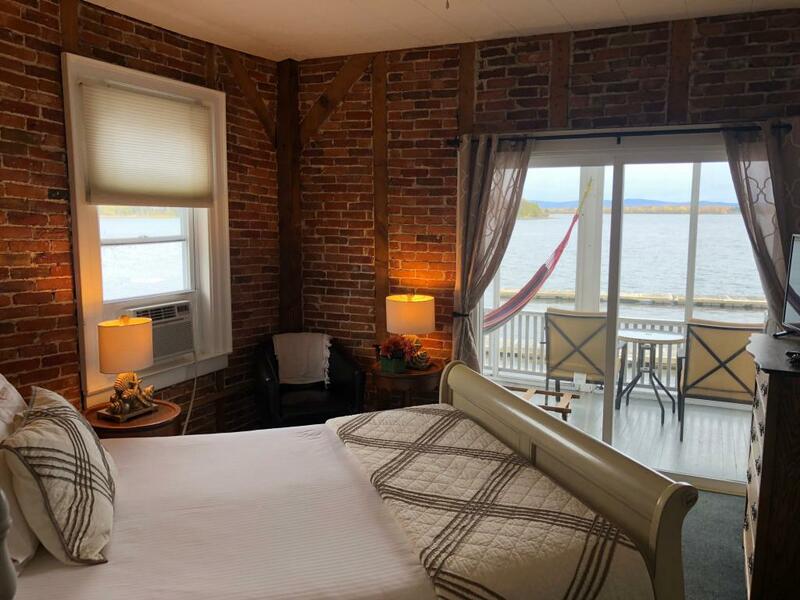 It has a queen bed and a window seat overlooking Lake Champlain. 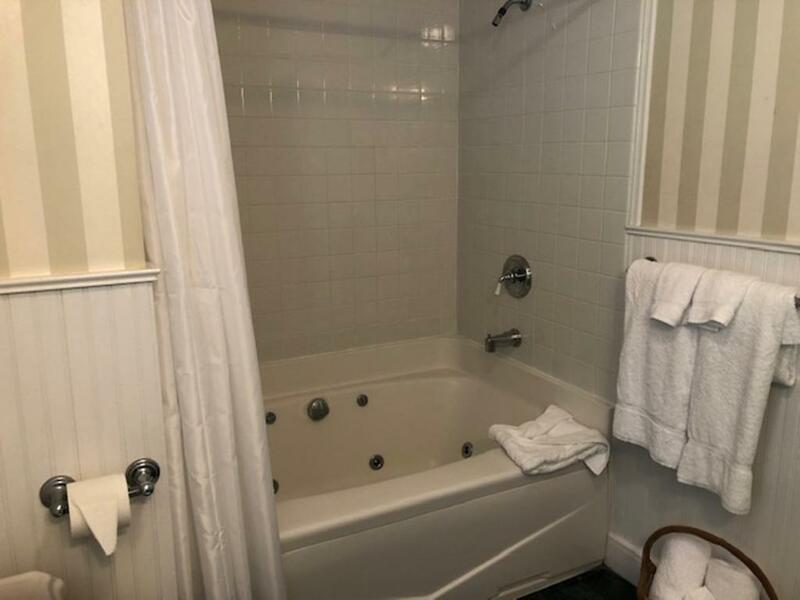 Its private bathroom has a jetted bathtub and a shower. 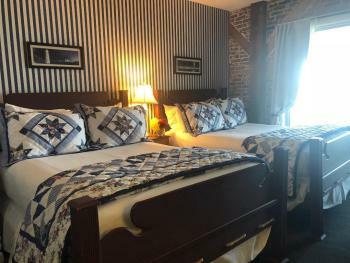 HS2 is in our lakeside Homestead Building and is also known as The Poquette Room. 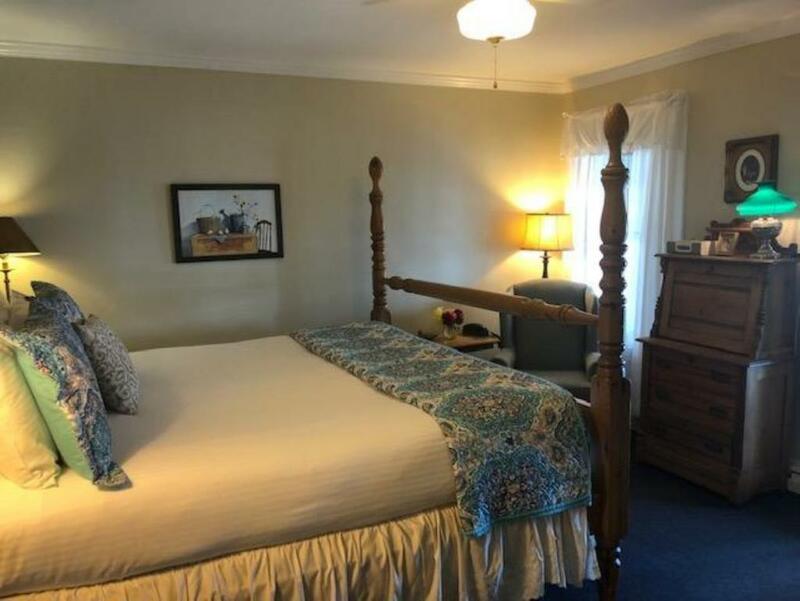 It features a queen bed, a private shower, and a shared porch with a lakeview. 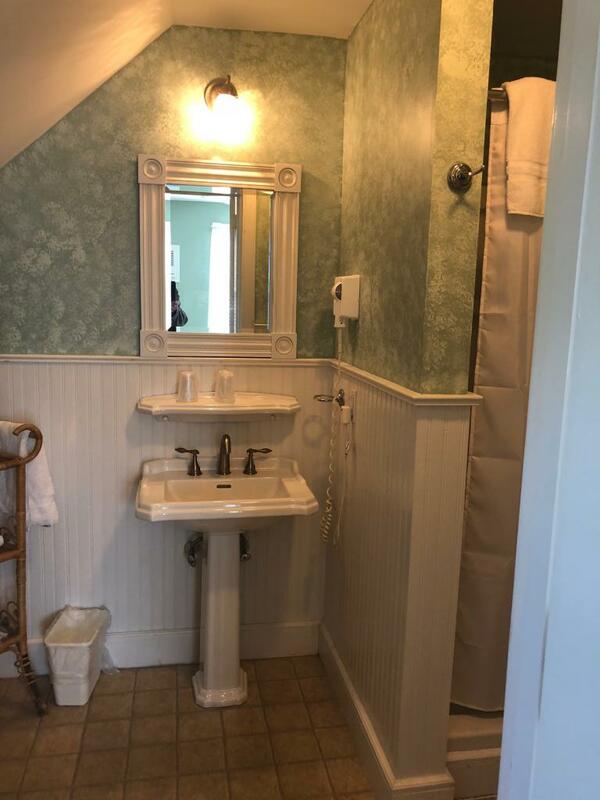 It is on the first floor. HS5 is in our lakeside Homestead Building and is also known as The Champlin Room. 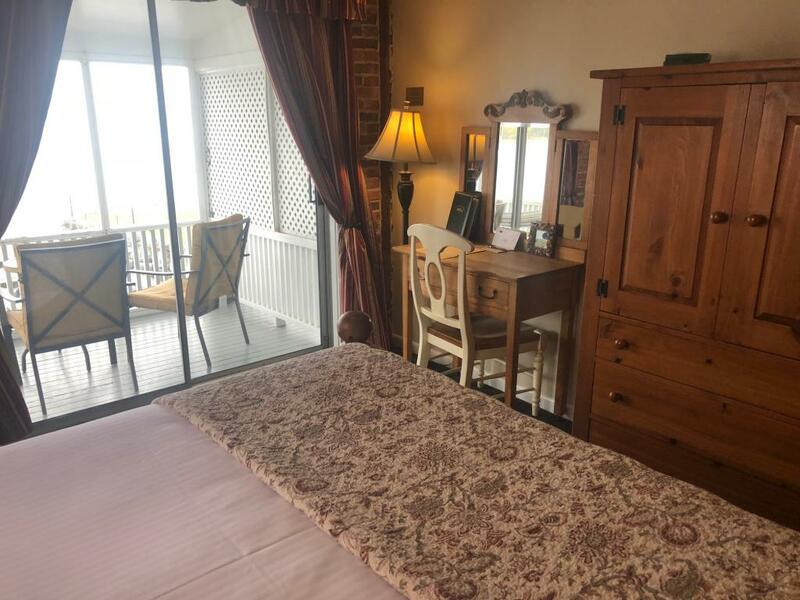 It features a queen bed, a private shower, and a shared porch with lake views. 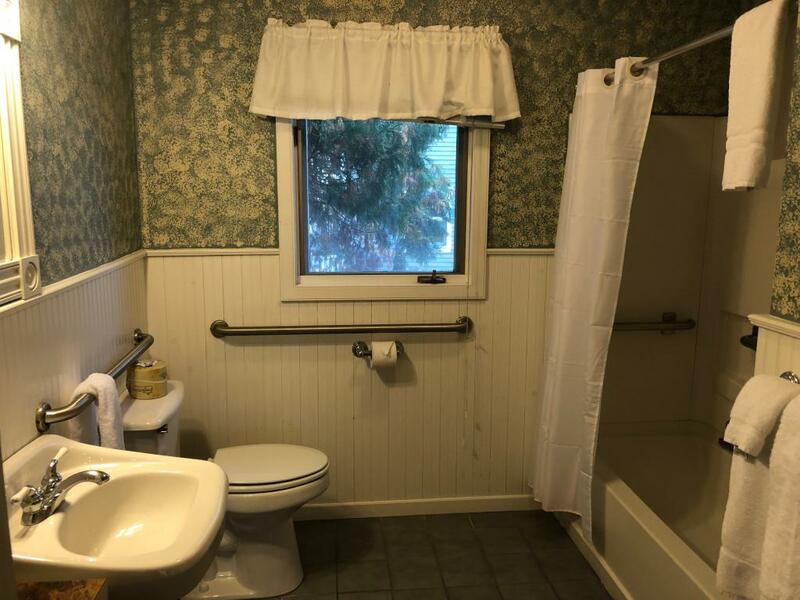 It is on the second floor. 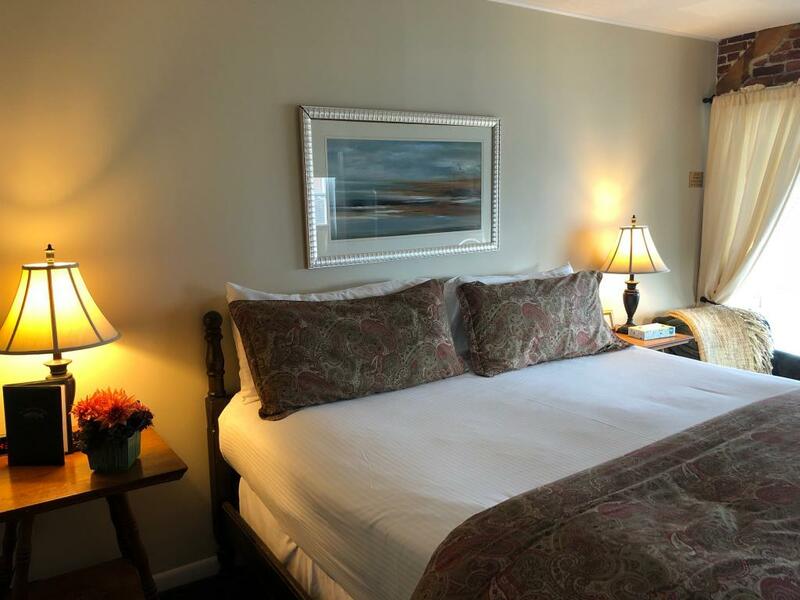 SW1 or The Abnaki Room is in our lakeside Southwind Building. 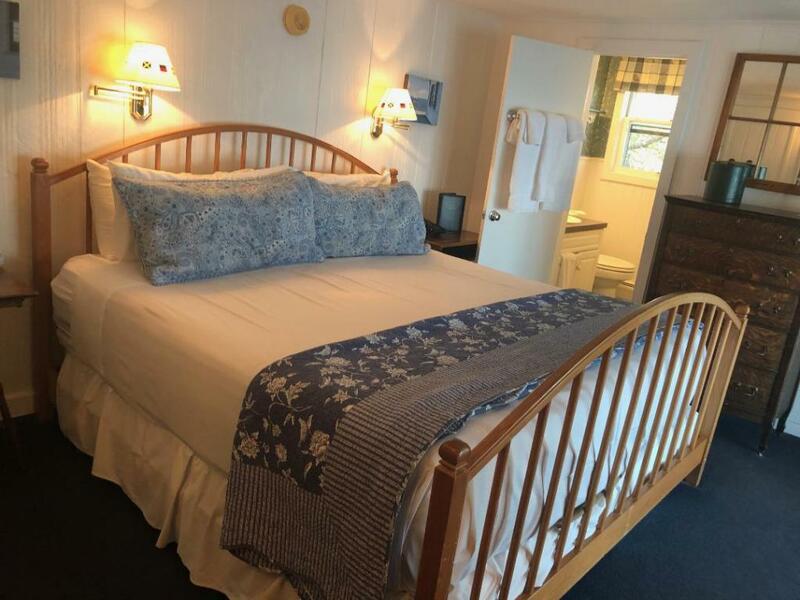 It features two queen beds, a private shower, and a shared porch with lake views. 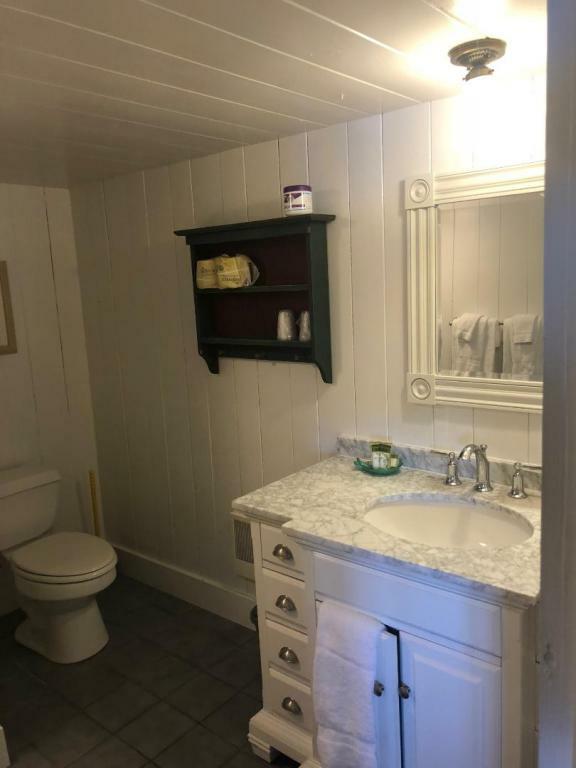 It is on the first floor. SW3 or The Pelot Room is in our lakeside Southwind Building. 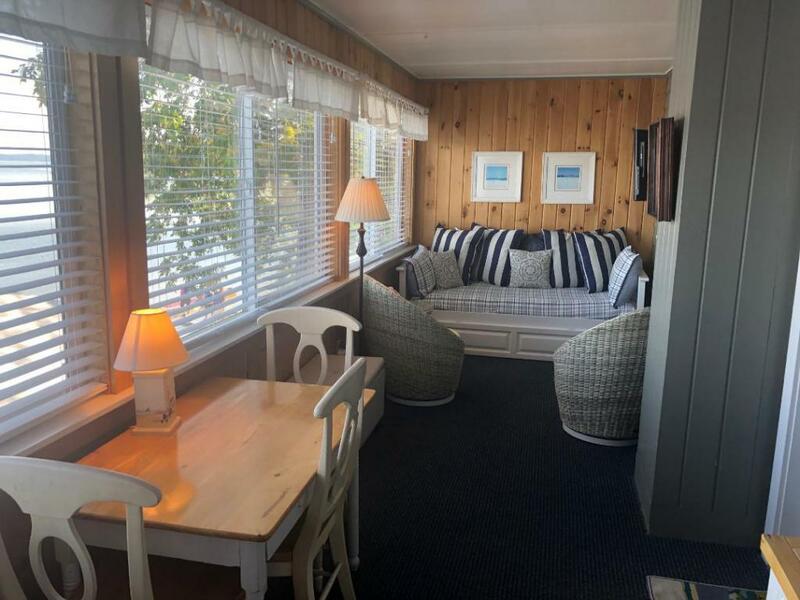 It features two double beds, a full bath with a tub, and a shared porch with lake views. 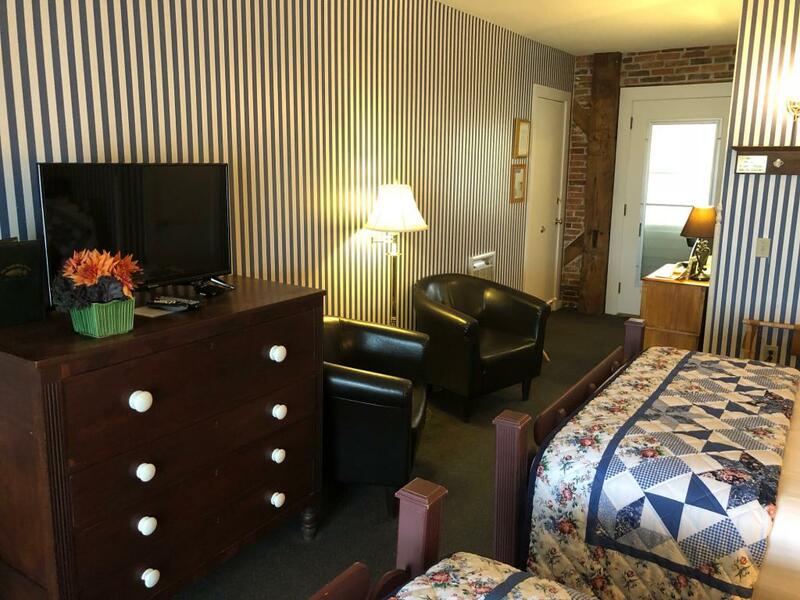 This room is on the first floor and is fully handicapped accessible. 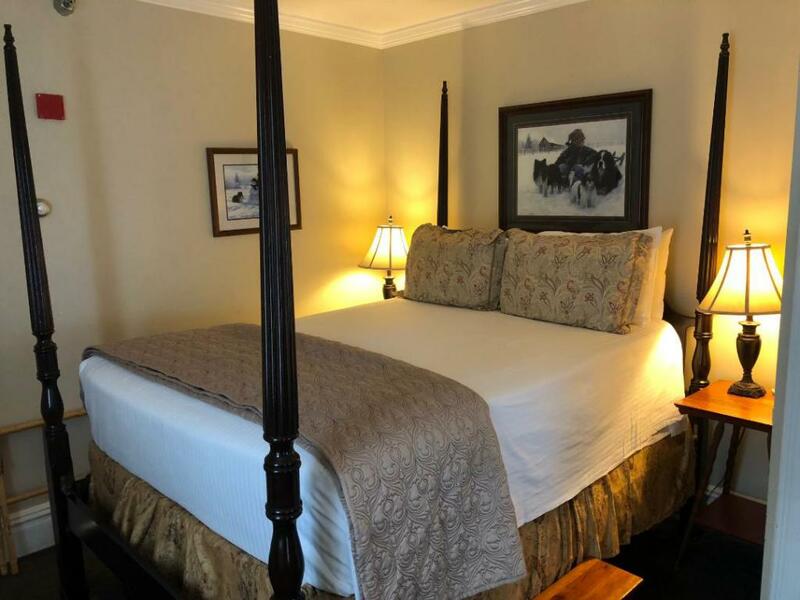 204 is in our Main Inn on the second floor and is also known as The Knight Room. 204 has a double bed, a private bathroom with a shower, and views of the garden & back fields. 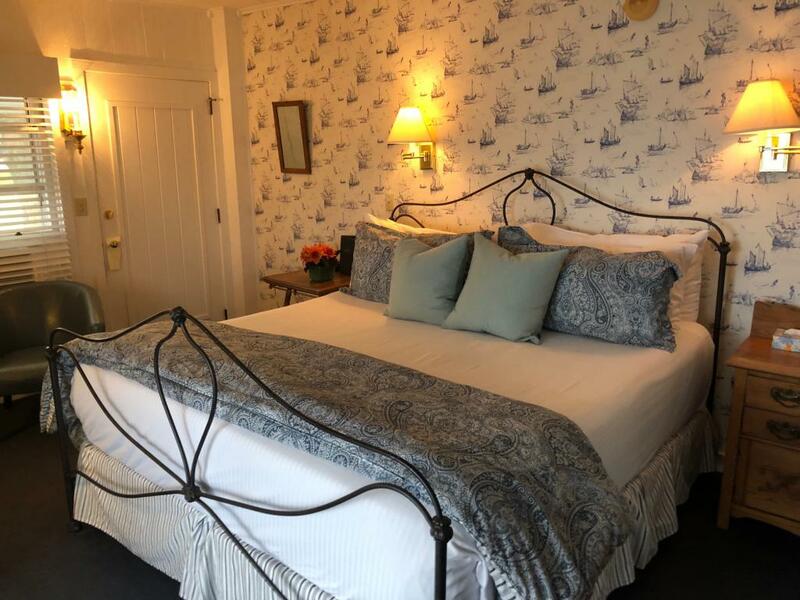 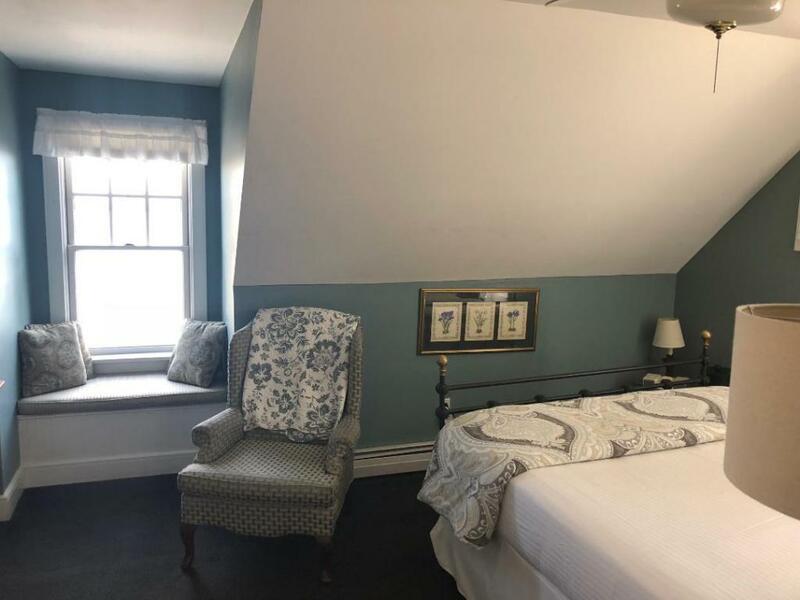 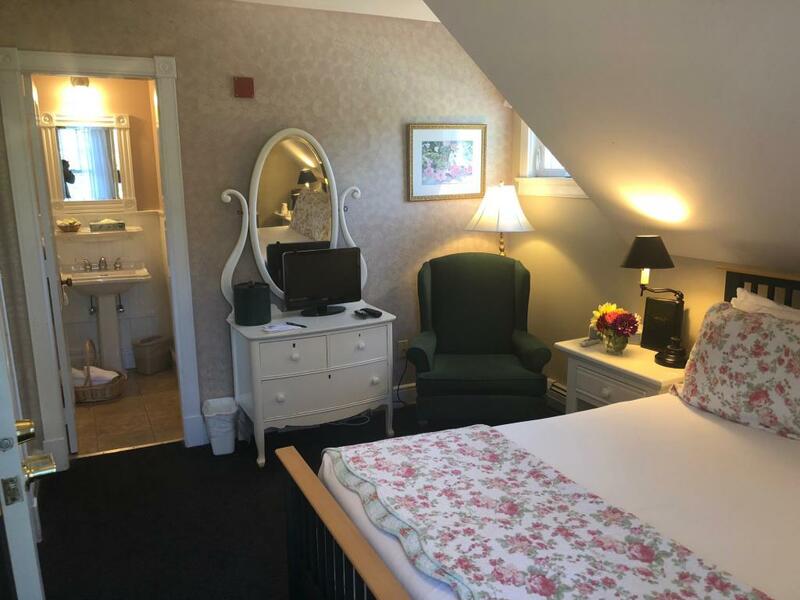 The Butler Room, on our third floor in the Main Inn, has a double bed and a private full bathroom with a jetted tub and shower. 304 is also known as The Hyde Room. 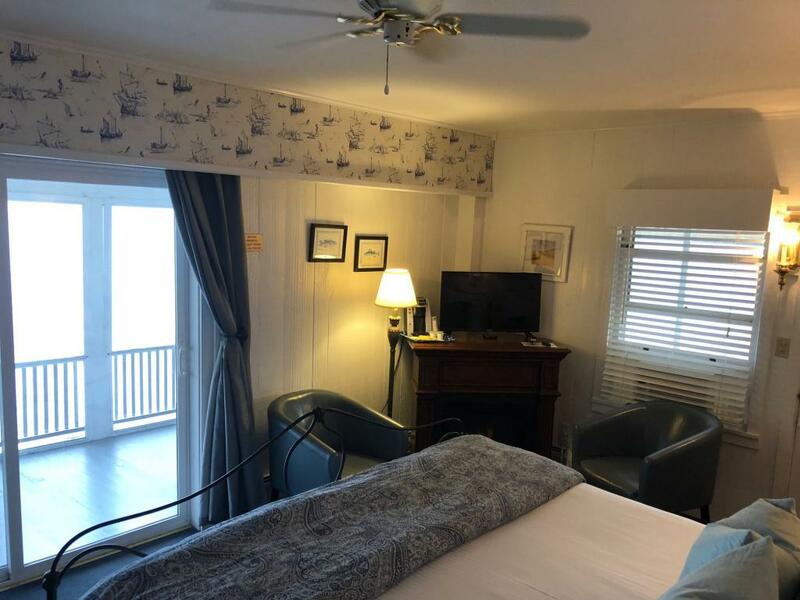 304 is in the Main Inn on the third floor. 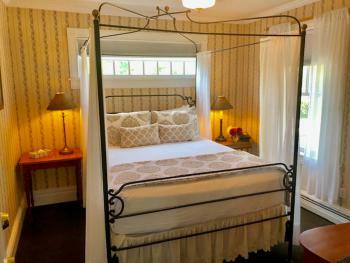 It features two twin beds and a private bathroom with a shower. 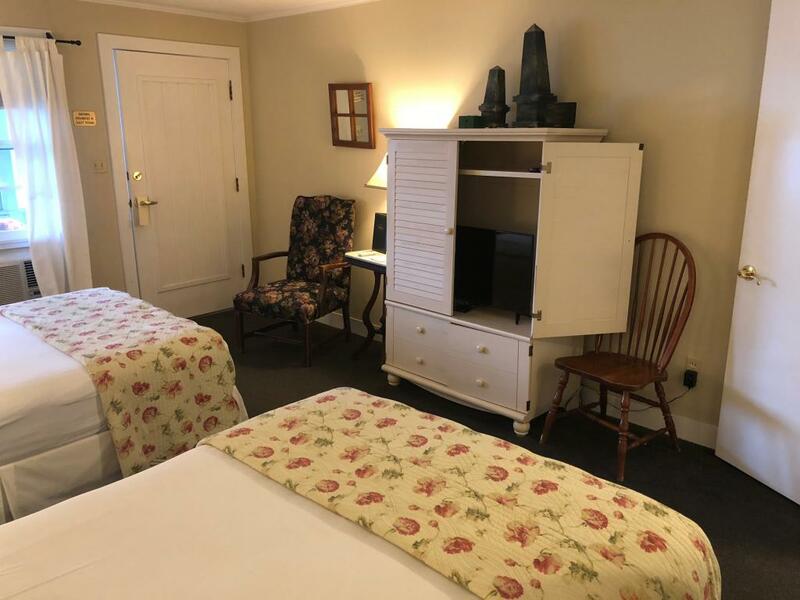 Homestead 1, also known as The Hibbard Room, is located in our Homestead Building on the lake, it is on the first floor, has two twin beds, a private shower, and a shared porch with an indirect lake view. 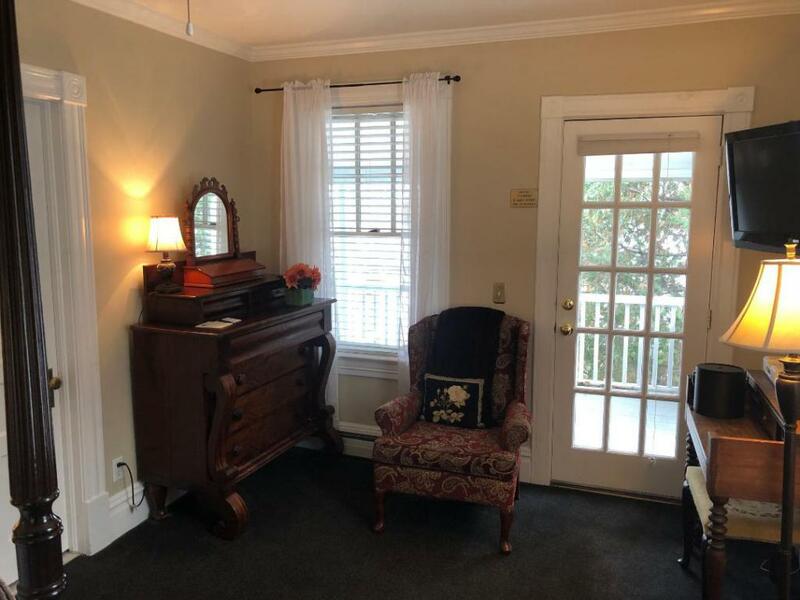 It is on the first floor. HS4 is in our lakeside Homestead Building and is also known as The Hathaway Room. 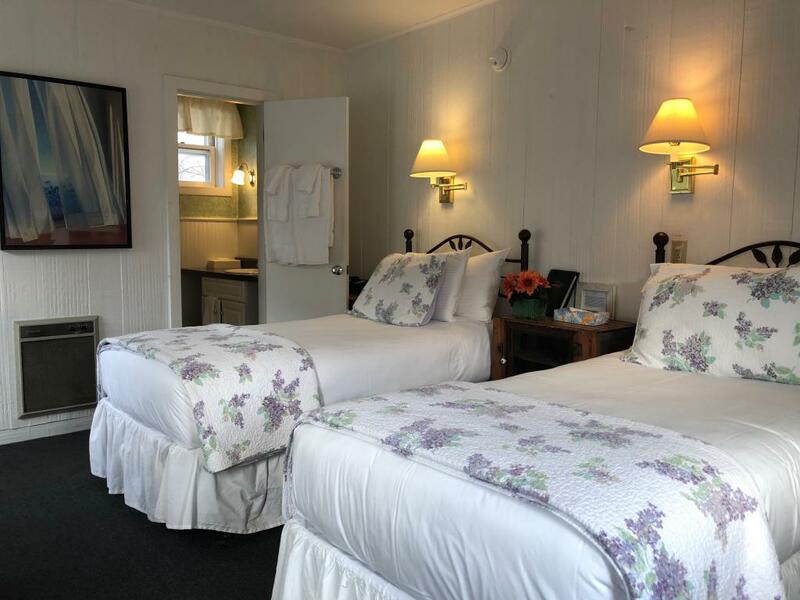 It features two twin beds, a private shower, and a shared porch with a lake view. 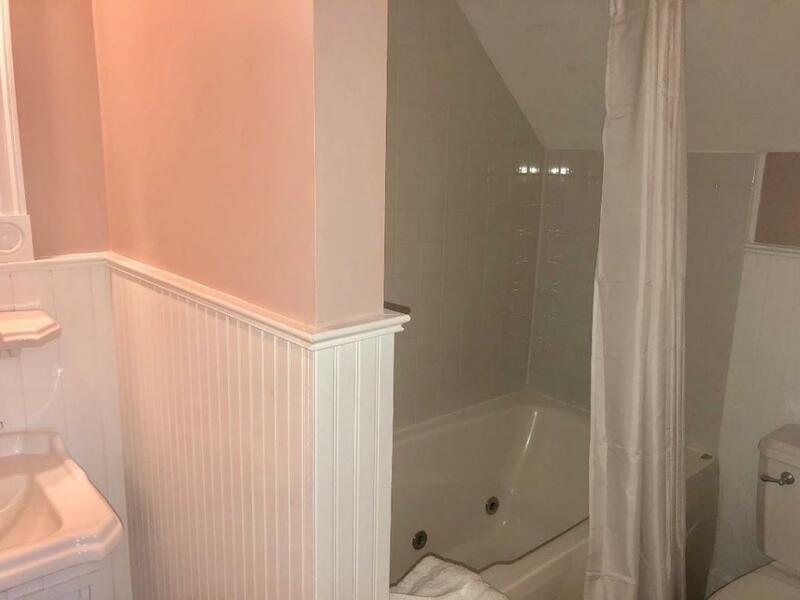 It is on the second floor. 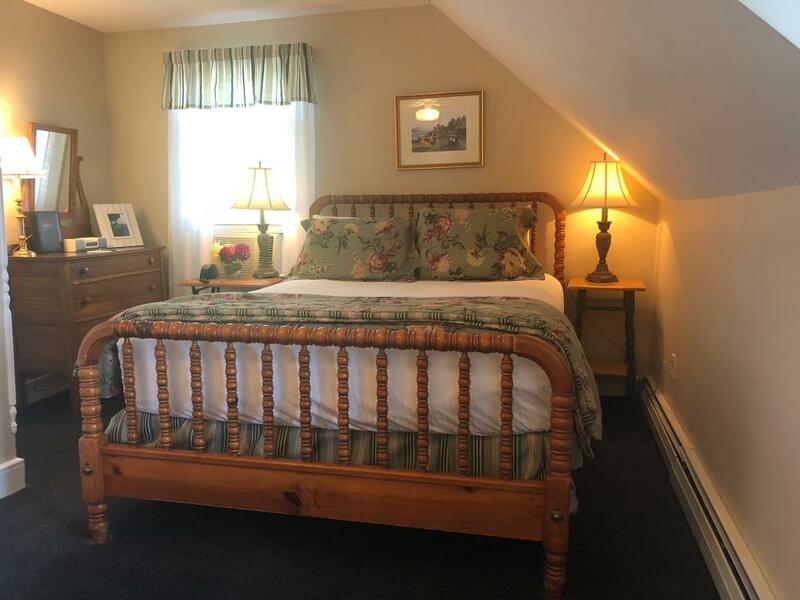 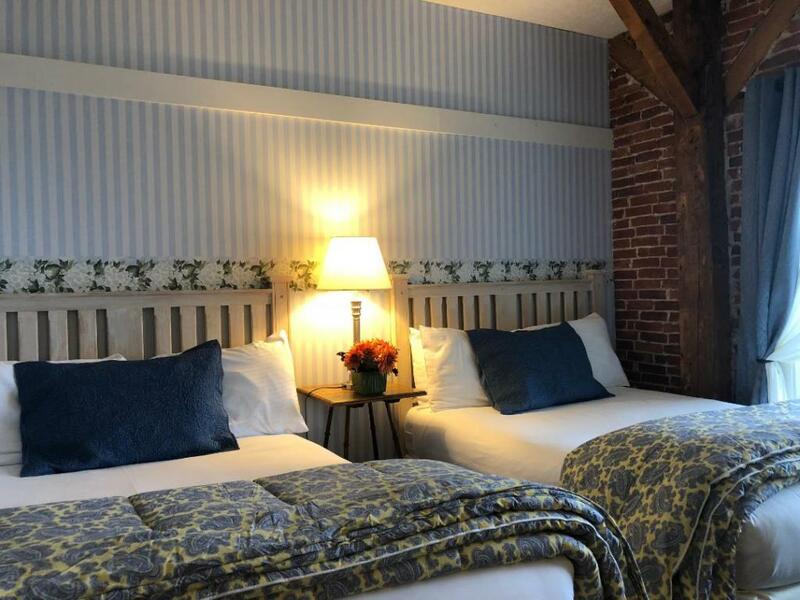 Our historic 26 room Bed & Breakfast is a landmark in the Lake Champlain Islands, and has been since 1791. 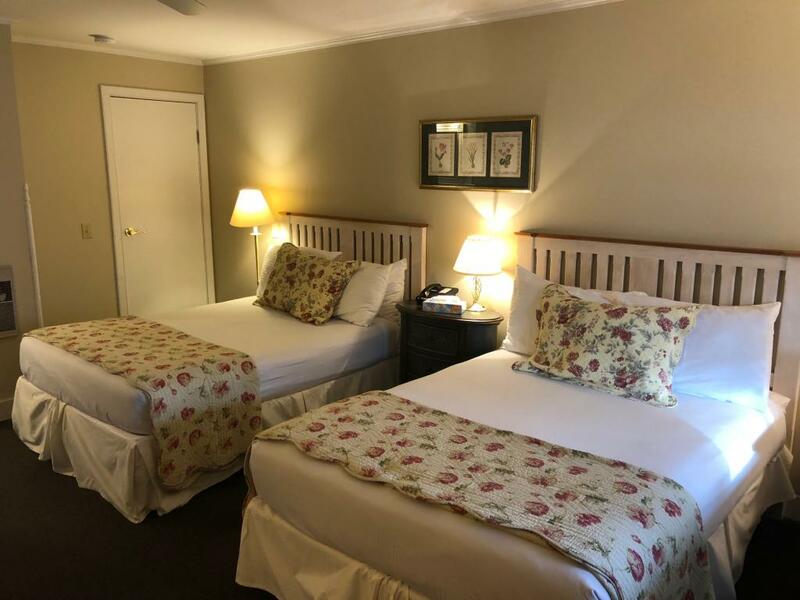 Easily accessible by either land or lake, we offer comfortable and luxurious accommodations that include a full country breakfast each morning. 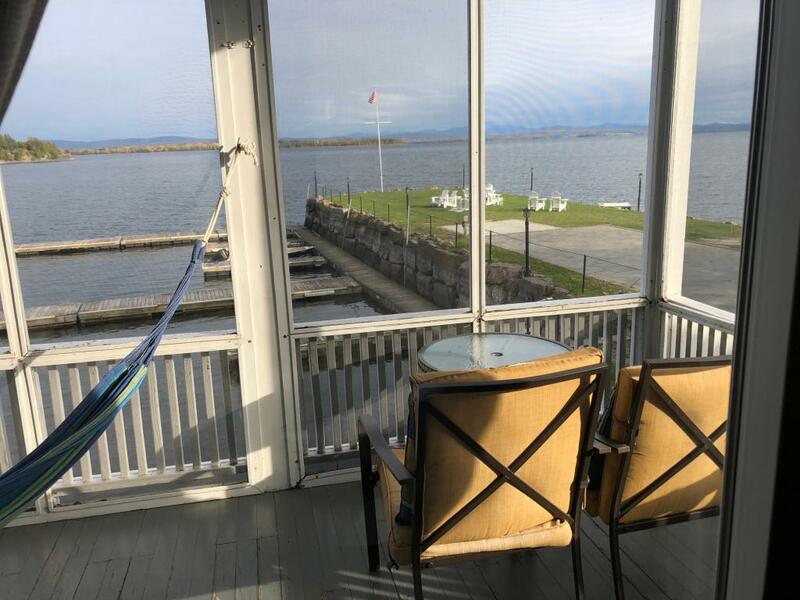 Head down to the old steamship pier to experience the Pier Bar, which features our famous lobster rolls and delicious cocktails, all with a breathtaking panoramic view of the lake and islands. 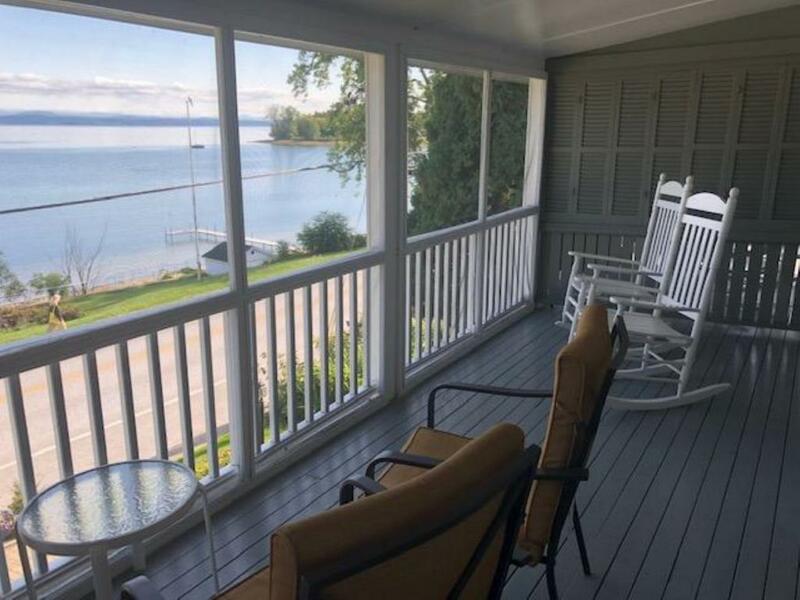 Our restaurant, offering both fine cuisine and delicious comfort foods, is the perfect place to spend an evening after enjoying a day on the lake, and our top notch staff will go the extra mile to ensure your day ends as a perfect one. 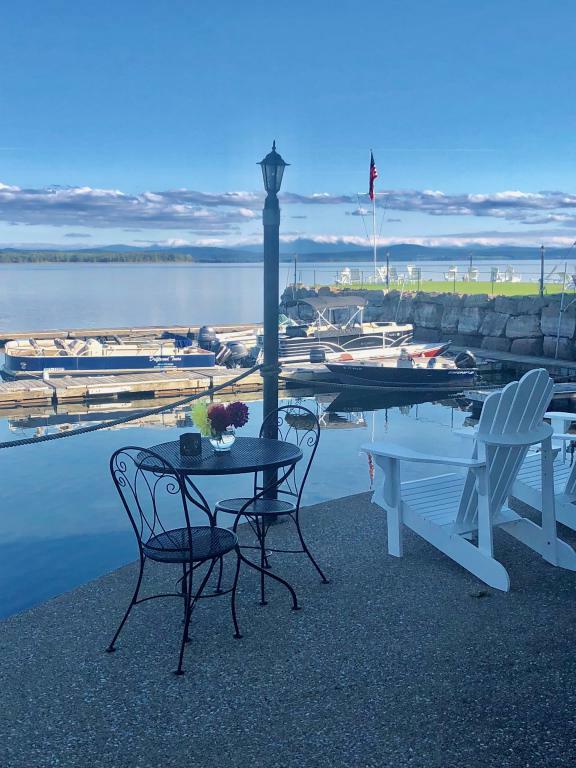 Travel North on I89 to Exit 17 towards the Lake Champlain Islands. 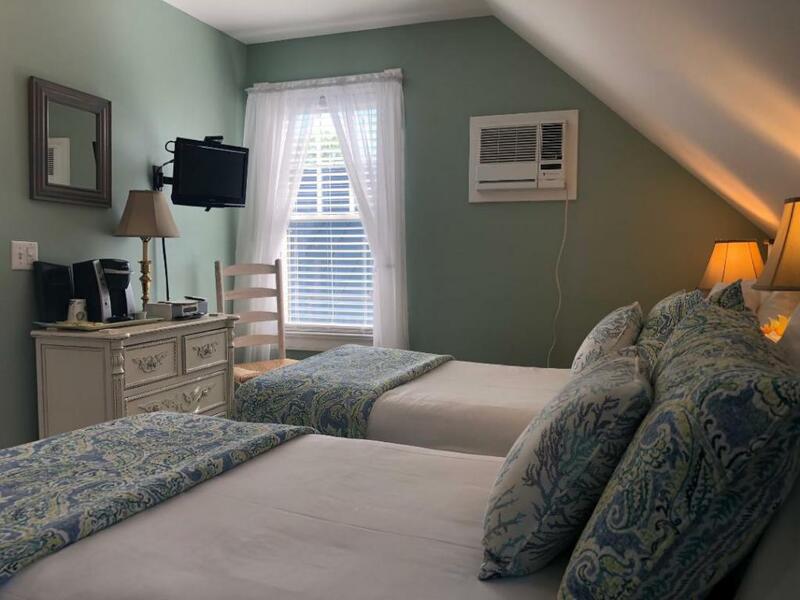 Follow Route 2 West all the way to the North Hero House.